This is a (much) shorter article of the article that I had published yesterday. Please read this. It will just take a while, and will reveal to you everything about how the PAP has created a nationwide scheme to enslave Singaporeans. You must read this, because it concerns your life. Let’s begin. There was a time when the PAP old guards actually cared for Singaporeans. Singapore was moving towards more equality and shared prosperity. 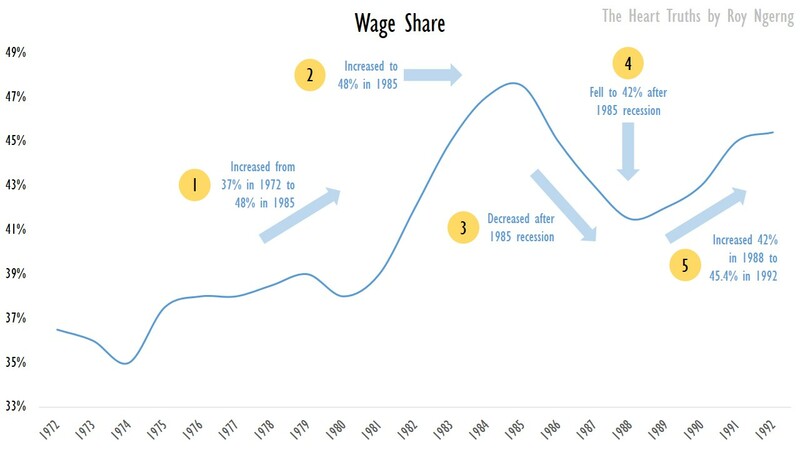 Until 1985, wage share rose to about 48%. Wage share is the proportion of GDP that goes to wages (the rest goes to profits). 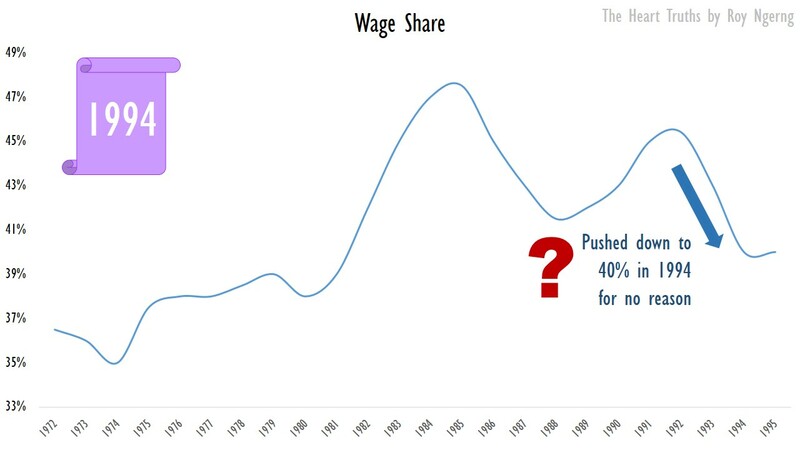 Wage share did fall after the 1985 recession but still climbed to 45.4% (Chart 1). Singaporeans were earning more and more. 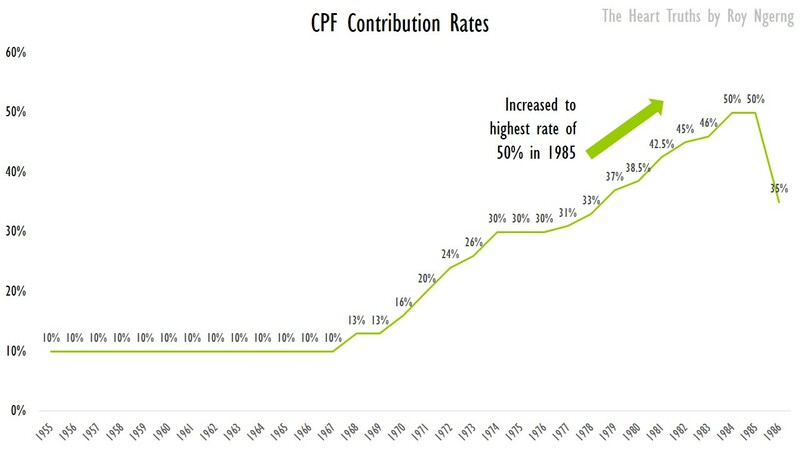 Until 1985, the CPF Contribution Rate rose to a high of 50% – we were setting aside more for our retirement (Chart 2). 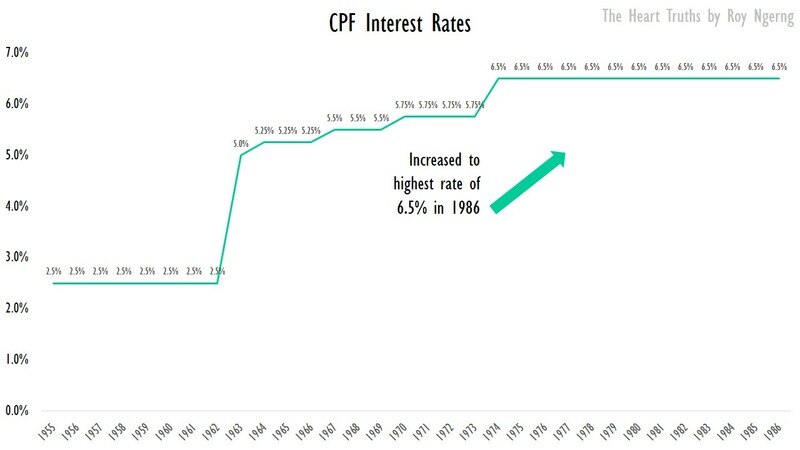 More importantly, until 1986, the CPF interest rates also rose to an all-time high of 6.5% (Chart 3). This means that we were earning significantly more on our retirement funds and our retirement funds were expanding much faster than they are today. 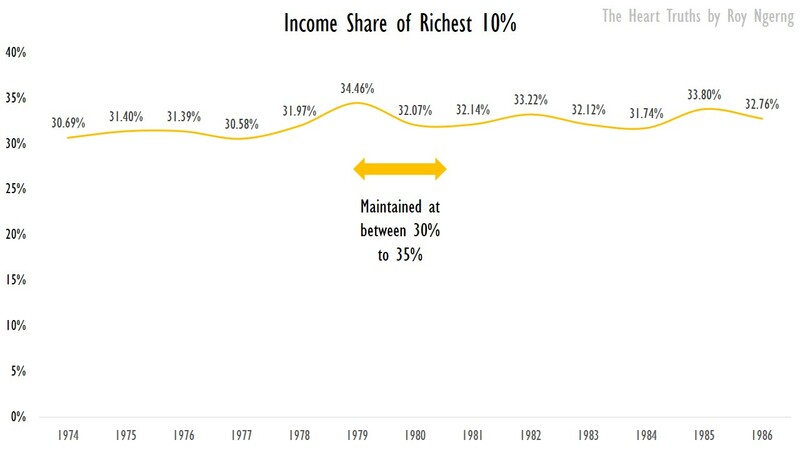 Until 1984, the share of income that went to the rich was also maintained at around 30% (Chart 4). The rich in Singapore were not getting richer at the expense of other Singaporeans. 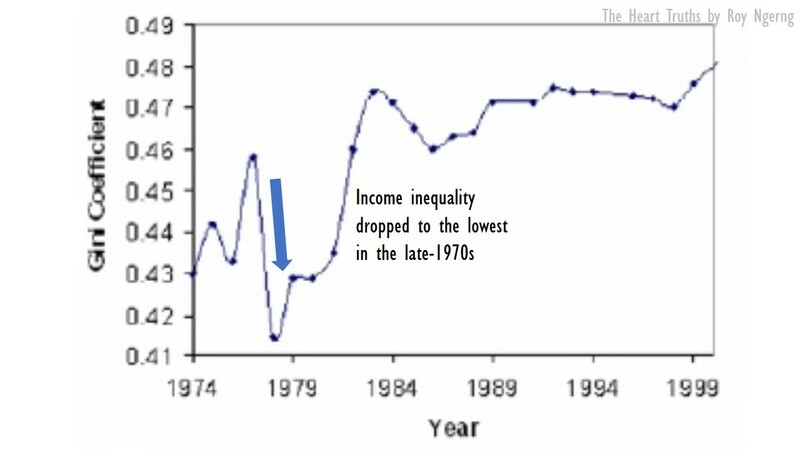 Thus because of the more equal policies under the PAP old guard, income inequality actually dropped to its lowest in Singapore ever in 1979, to a Gini coefficient of 0.41 (Chart 5). However, since then, the PAP started turning against Singaporeans. Yes, until the mid-1980s, the PAP old guard had cared for Singaporeans. But from the mid-1980s, the second and third generation, and today, the new PAP have turned against Singaporeans. It all began in 1984. 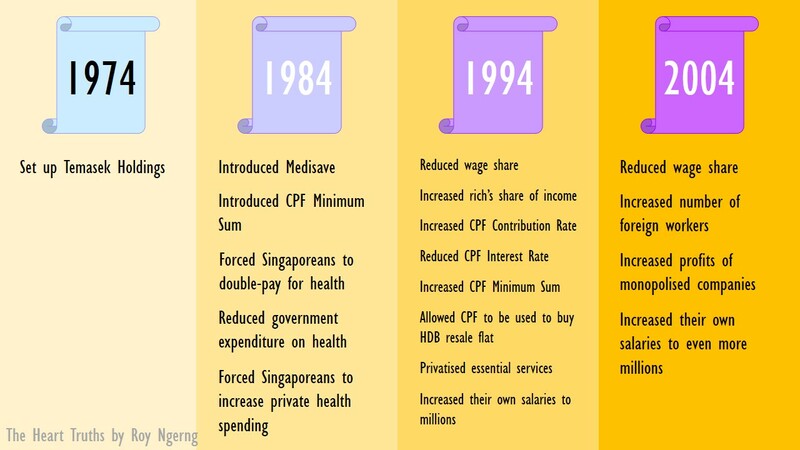 In 1984, the PAP had wanted to increase the retirement age of Singaporeans, by increasing the CPF withdrawal age from 55 to 60. However, Singaporeans were against it as they felt that the PAP had broken its promise. So the PAP couldn’t increase the retirement age like they had wanted. 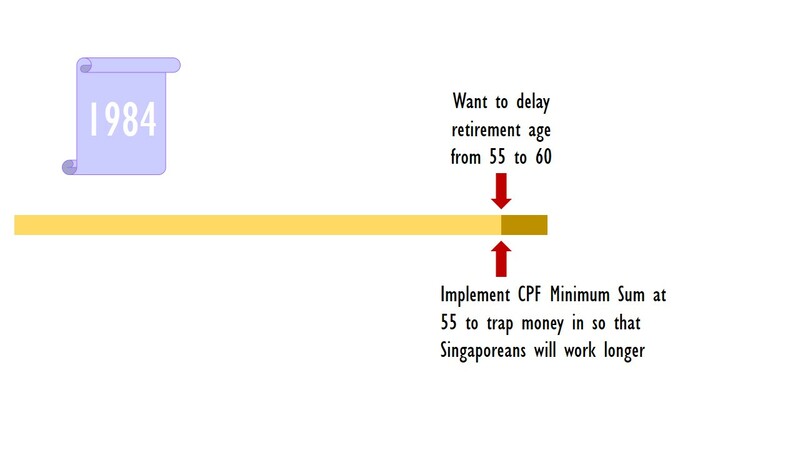 But they came out with another scheme – the PAP came out with the CPF Minimum Sum to entrap Singaporeans’ CPF inside, so that Singaporeans have no choice but are forced to work even longer (Chart 6). Also, in 1984, Goh Chok Tong also introduced the Medisave scheme. PAP old guard Mr Toh Chin Chye then spoke up against the Medisave because he revealed that the PAP has created the Medisave as a “recessive tax”, where the poor are forced to pay more of their incomes to CPF and Medisave, while the rich only need to pay a lower amount. 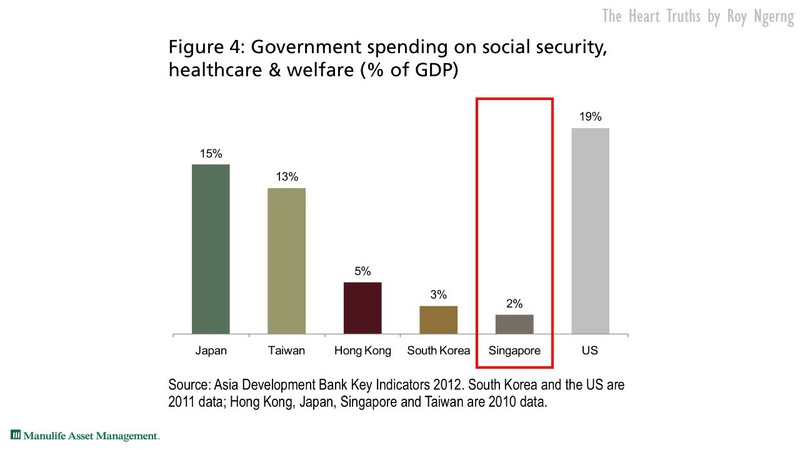 Also, Mr Toh Chin Chye explained that with the Medisave, what the PAP is doing is to run “two parallel welfare schemes” (Chart 7). 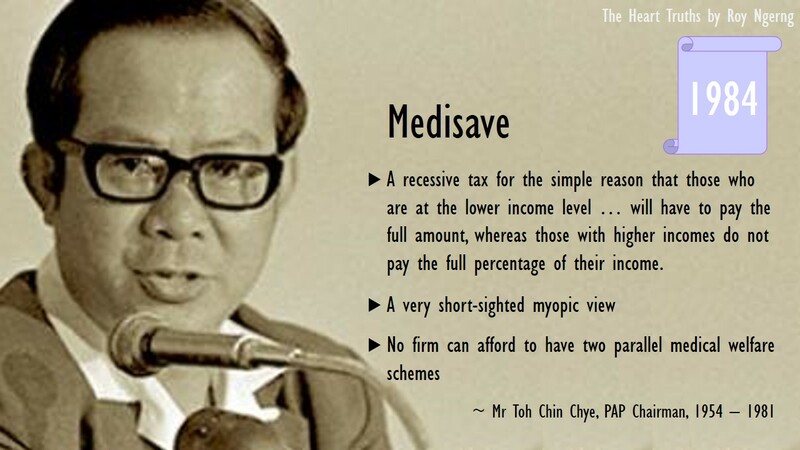 In 1984, Mr Toh Chin Chye realised that the new PAP was trying to force Singaporeans to pay double for our healthcare! 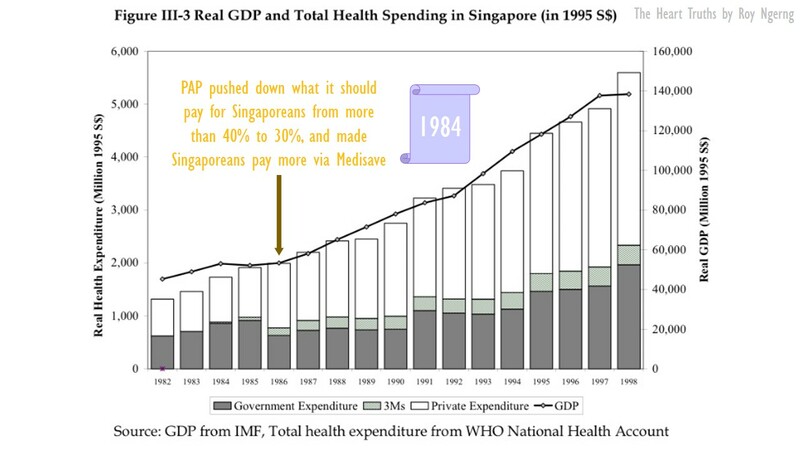 Indeed, after Medisave was implemented, in 1996, the PAP drove down what they would spend for Singaporeans for healthcare from 40% to 30% of total health expenditure and forced Singaporeans to pay more from the Medisave (Chart 8). 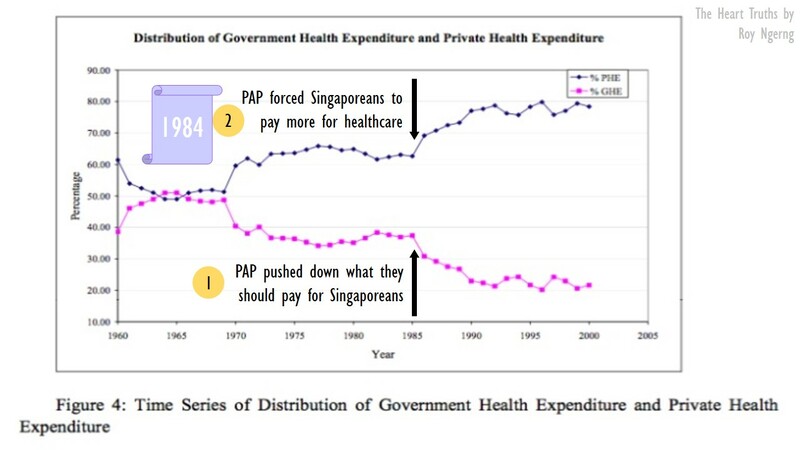 Since then, Singaporeans were forced to pay more and more out-of-pocket for healthcare, while the PAP started paying lesser and lesser (Chart 9). 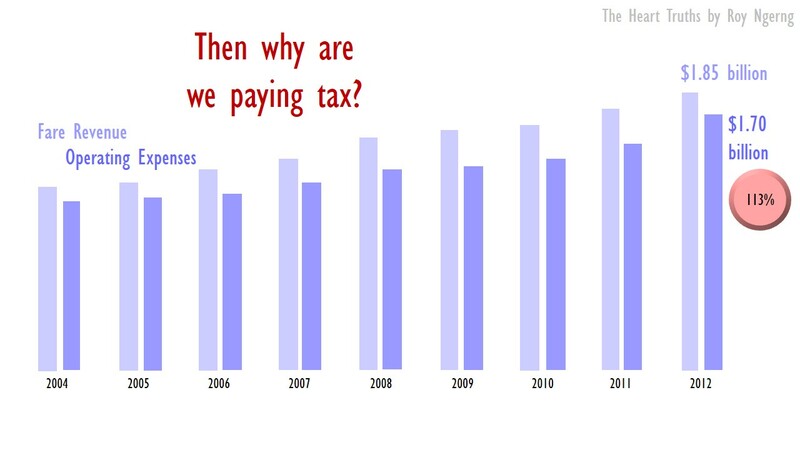 Note, Singaporeans are already paying taxes which should cover for the health subsidies, so why did the PAP reduce subsidies even though we are still paying taxes? And when did the PAP then make us pay double, by making us also pay into Medisave, and make us pay for our healthcare by double-paying? 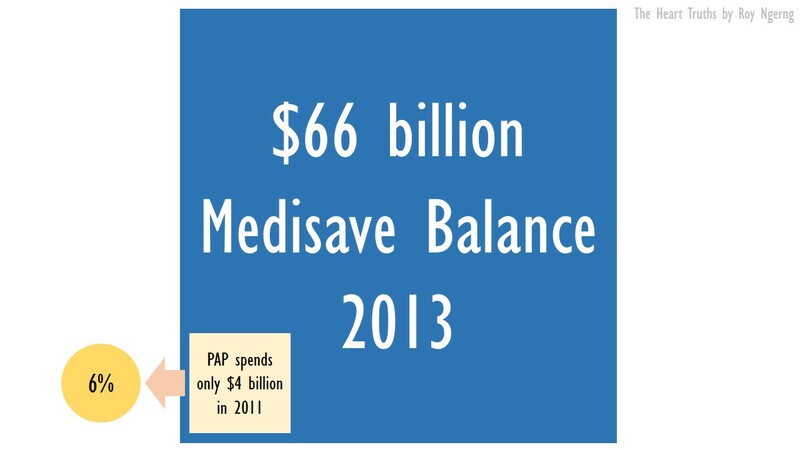 In fact, as of last year, Singaporeans have contributed $66 billion into Medisave but what the PAP had spent for health in 2011 was only $4 billion, or only 6% of what we have contributed (Chart 10). So, you see, not only has the PAP made Singaporeans double-pay, they are also earning from us. So, as you can see, the new PAP started gunning down on Singaporeans from 1984. 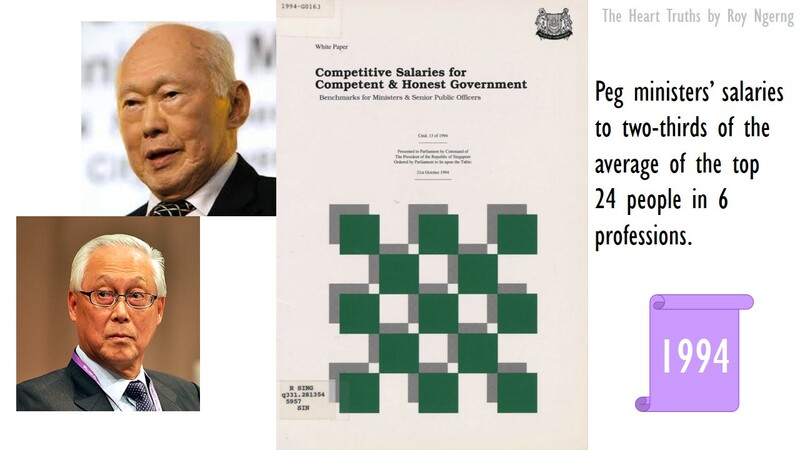 After Goh Chok Tong became prime minister, in 1994, things got even worse. 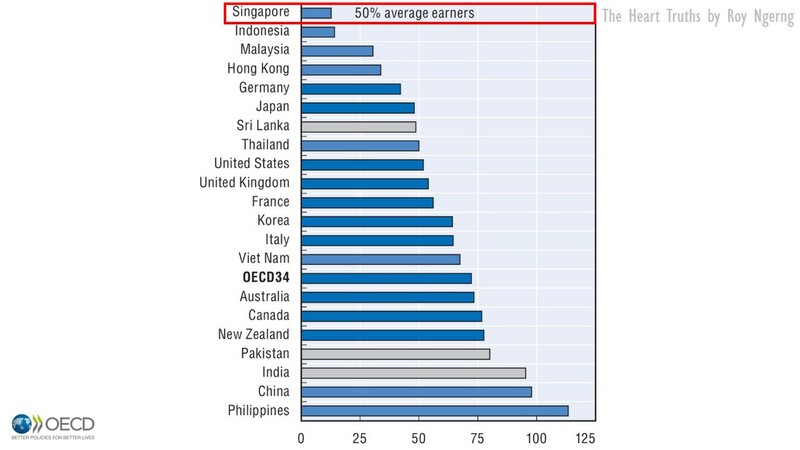 The PAP pushed down the wage share of Singaporeans to a low of 40% for no reason (Chart 11). Suddenly, Singaporeans were forced to receive lower wages. 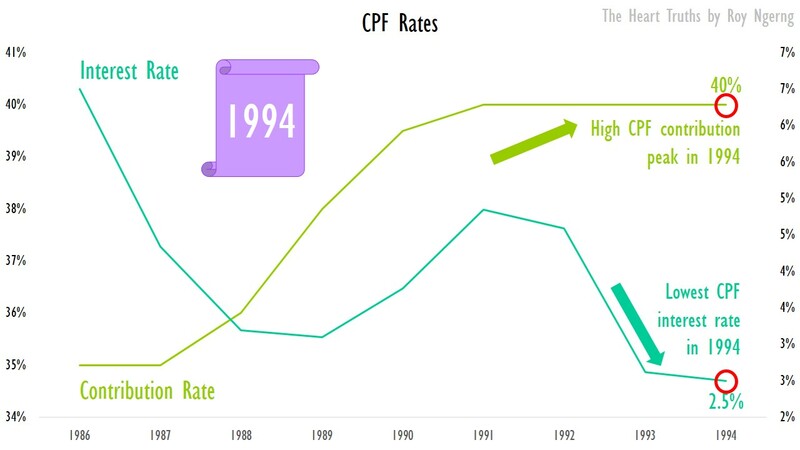 Not only that, in 1994, the PAP pushed the CPF Contribution Rate to a high of 40%, where the Employee CPF contribution rose to 20% (Chart 12). The PAP was forcing us to sacrifice more of our wages to them. How so? 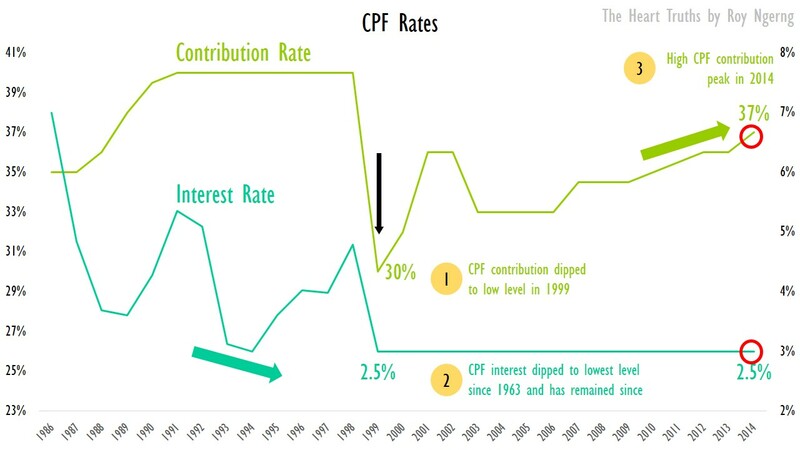 Because in 1994, the PAP also pushed down the CPF interest rates to the lowest ever since 1963, where Singaporeans were forced to only earn 2.5% on our retirement funds (Chart 13). In 1994, the PAP forced Singaporeans to give up more of our wages but gave back the lowest returns back to us (Chart 14). 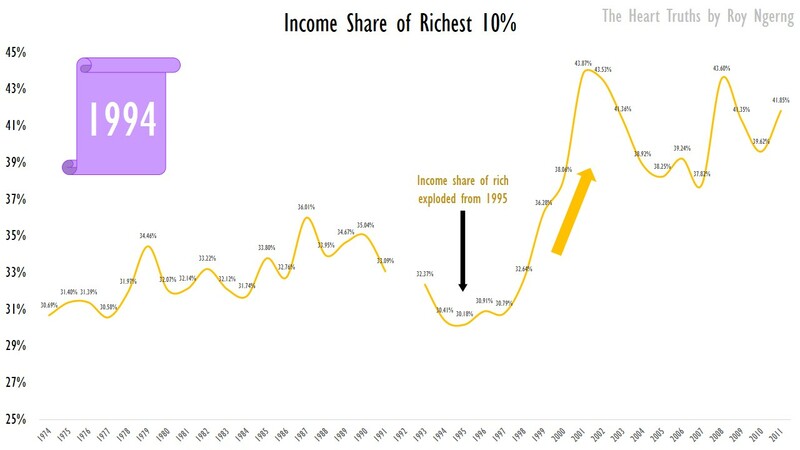 Also, in 1995, the share of income that went to the richest 10% started increasing, from 30% to 42% in 2011 (Chart 15). 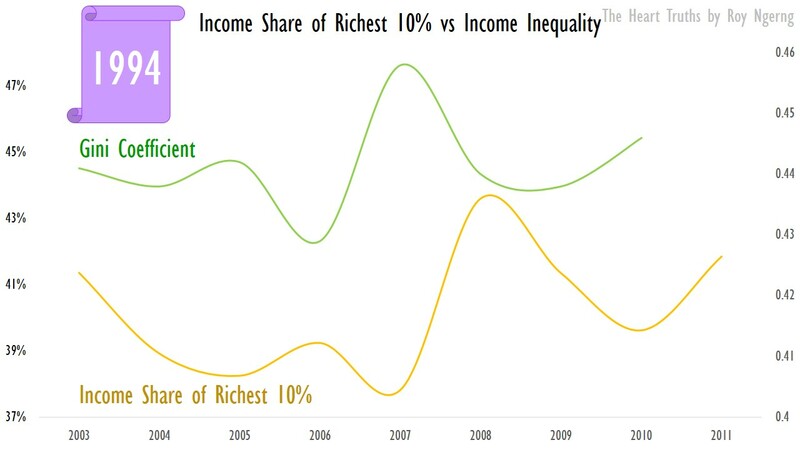 The share of income that went to the richest 5% grew even faster. From 1995, it grew from 22% to 31% (Chart 16). As I had written before, the share of income would increase a year after inequality increases (Chart 17) – which means that if the share of income increased in 1995, income inequality would have started rising in 1994. So, again you can see – 1994. But what’s worse is this – the PAP didn’t even bother to hide their greed. In 1994, the PAP increased the salaries of the ministers. In 1994, the PAP increased the salaries of the ministers to “two-thirds of the average of the top 24 people in 6 professions” (Chart 18). So, you see, in 1984, the PAP planted the seeds of its plan to cut down on Singaporeans. In 1994, they further expanded on it. 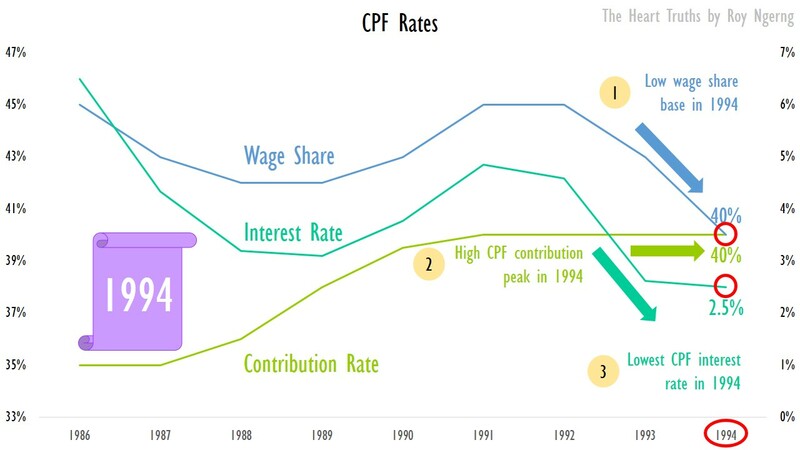 In 1994, they forced down the wages of Singaporeans, yet forced us to pay even more of our wages into CPF, and spiked down the interest rates on our CPF, so that our CPF loses its value (Chart 19). Then, from 1994, the PAP helped themselves and the richest to get richer and richer. And they then increased their salaries to millions of dollars. 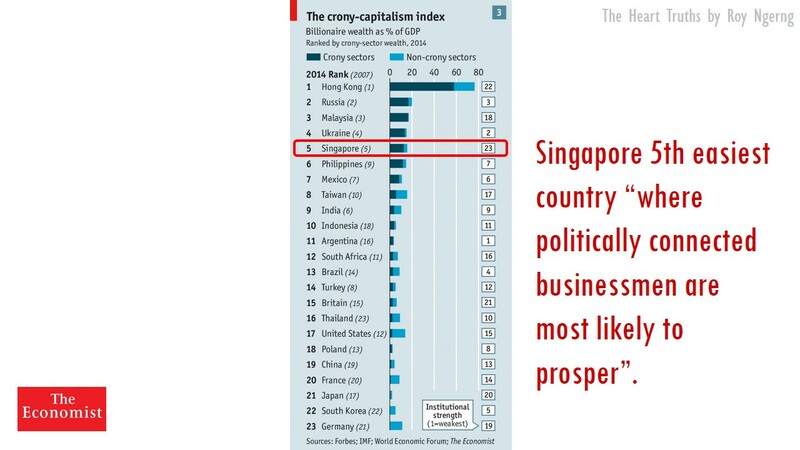 Now, do you know why The Economist had ranked Singapore as 5th on the crony-capitalism index (Chart 20)? Singaporeans is the 5th easiest place in the world where you can get rich if you are politically connected to the PAP. Disgusting? But that’s still not all. 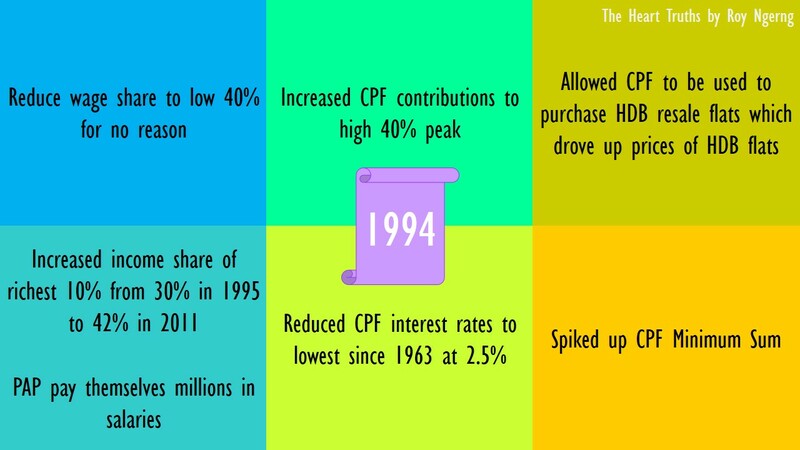 In 1994, the PAP also liberalised the housing market to allow the CPF to be used to purchase resale flats. 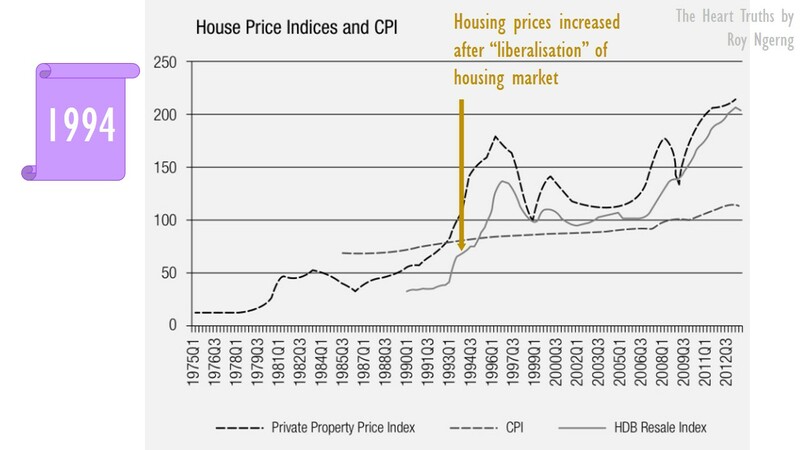 With this, the PAP could allow flat prices to be driven upwards (Chart 21). 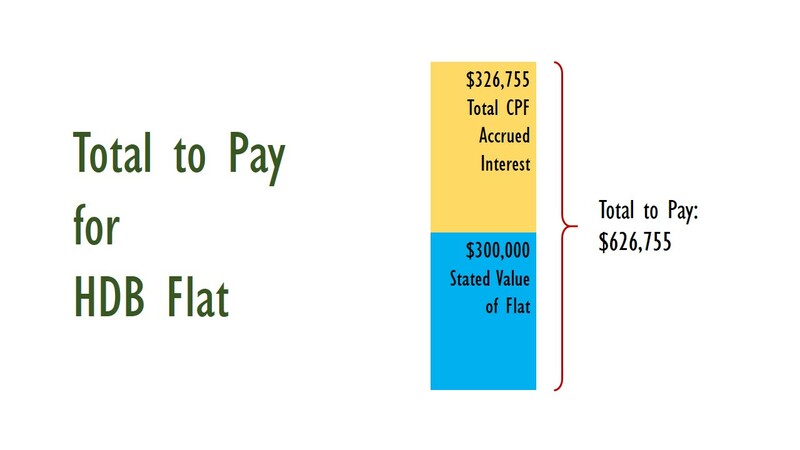 But more importantly, as I had explained previously, when Singaporeans use the CPF to pay for the housing mortgage, we have to pay an accrued interest on the CPF, which is effectively paying an additional interest on top of the mortgage. I had explained that this means that the PAP is forcing Singaporeans to pay double on the HDB flat. For a $300,000 flat, we would actually need to pay an additional $326,755 after 30 years (Chart 22). 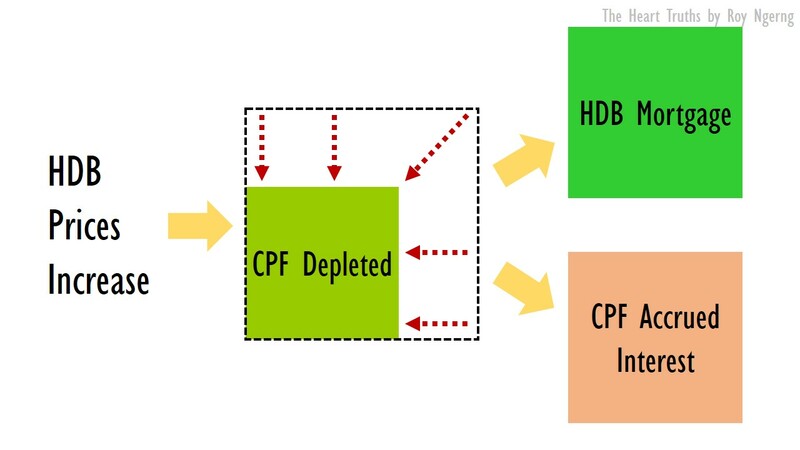 What this means is that when the PAP then artificially inflates the prices of HDB flats, this will cause our CPF to deplete even further (Chart 23). But that wasn’t all. 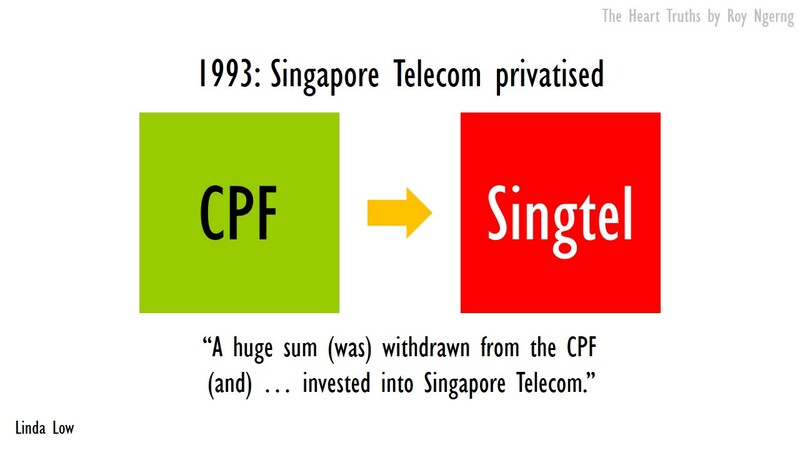 In 1993, the PAP had privatised Singtel. Our CPF was then withdrawn by the PAP to invest in Singtel (Chart 24). How much was actually withdrawn and did the PAP ever return our CPF to us? Also, how much more did they withdraw from our CPF to invest in the other companies they had privatised and how much more did they not return? In 1994, they took our CPF to invest in the companies they wanted to privatise, then they striked down our CPF interest rates. Why did they suddenly want to return us lesser interest – because they don’t want to return us the CPF that they had withdrawn? 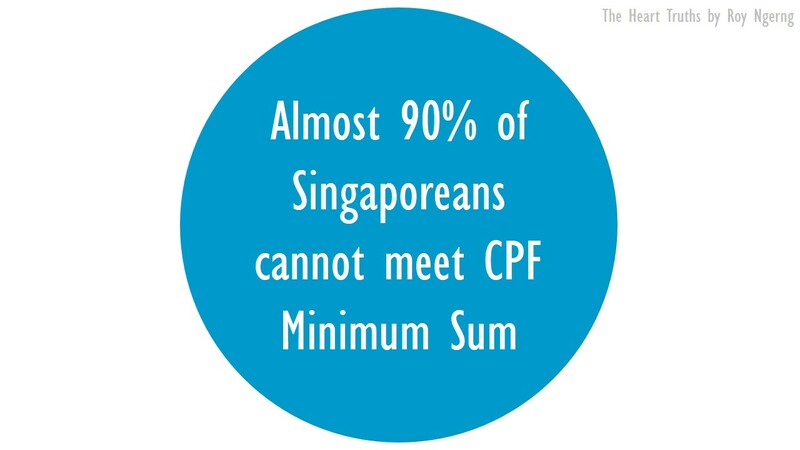 But what’s worse is this – remember the CPF Minimum Sum? 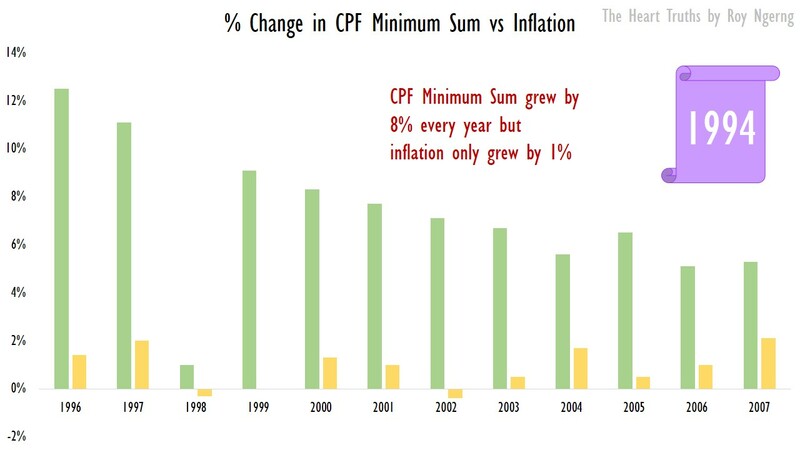 Just a short few years later, in 1996, the PAP spiked up the CPF Minimum Sum by more than 10% each year, even though inflation only grew by 1% (Chart 25). There was no reason whatsoever for the PAP to increase the CPF Minimum Sum by so many more times inflation but they did it anyway, so that they could trap even more of our CPF inside for their own use. So, you see, in 1994, the PAP launched a full scale attack on Singaporeans and cut us down on our wages, our CPF and HDB. In 1984, the PAP planted the seeds of their plan to cut down on Singaporeans. In 1994, the PAP entrenched their plan to enslave Singaporeans (Chart 26). 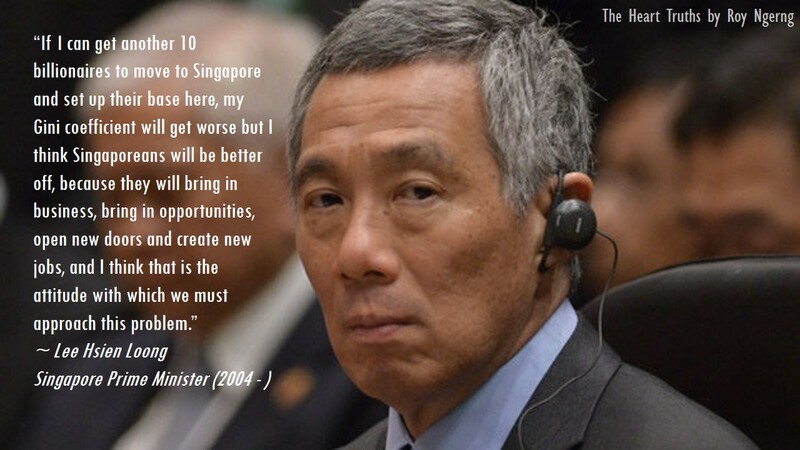 In 2004, after Lee Hsien Loong became prime minister, the PAP further expanded on their plan. 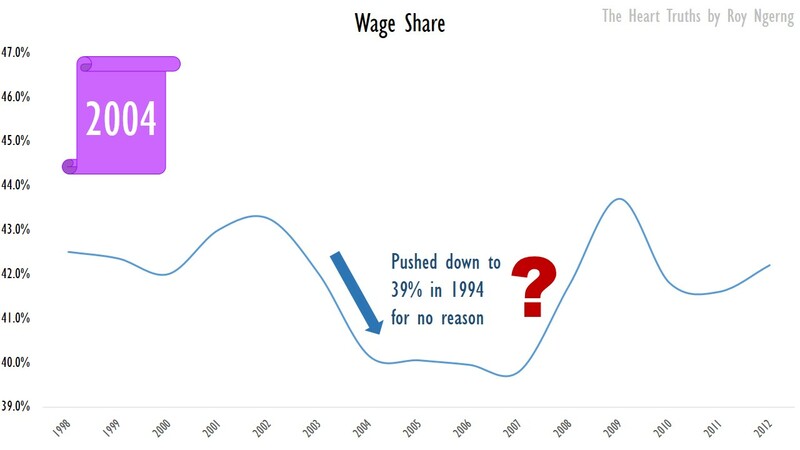 In 2004, wage share was pushed down to its lowest to 39% (Chart 27). Singaporeans had never seen such low wage share since the early 1980s and it was the first time since then that wage share dropped below 40%! 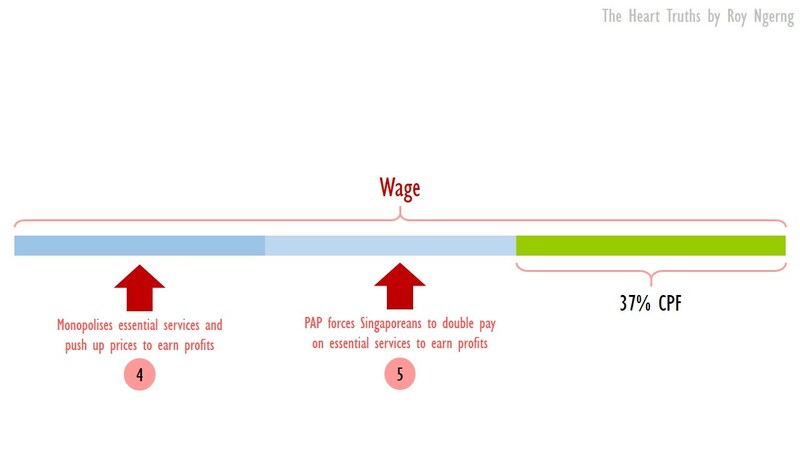 The PAP artificially reduced wages to force Singaporeans to earn less. At the same time, the PAP started spiking up the number of foreign workers coming into Singapore. 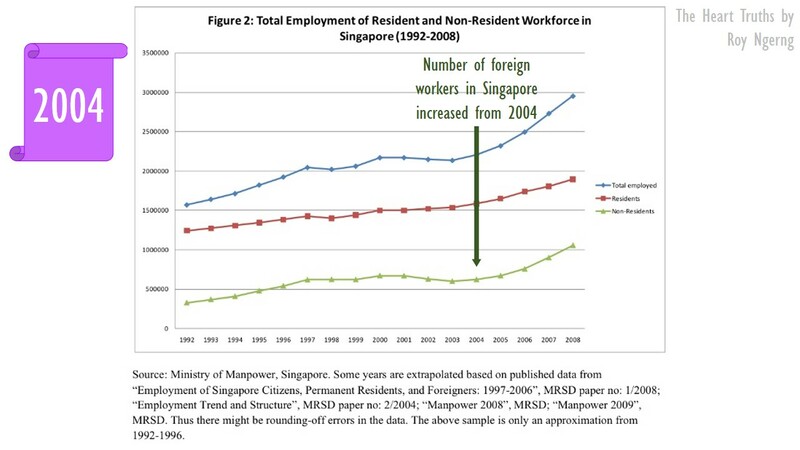 Before 2004, foreign worker numbers were actually maintained at a more stable level (Chart 28). So, in 2004, the PAP striked down the wages of Singaporeans and opened the flood gates to cheap substitute labour, which further forced down the wages of Singaporeans and depress our wages further. 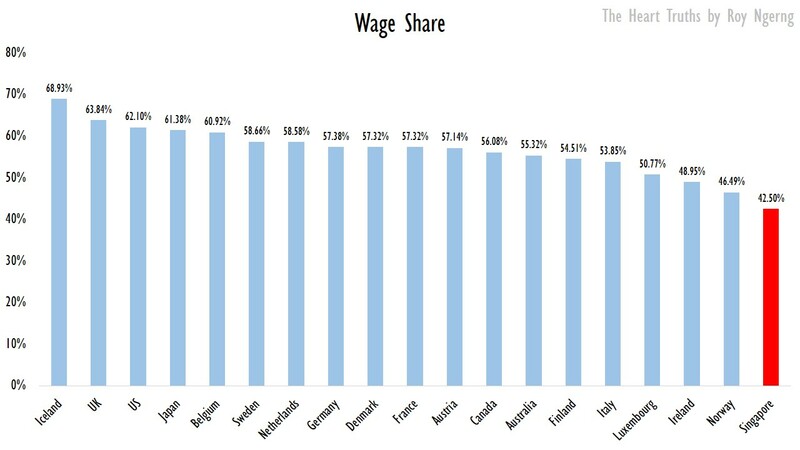 So much so that when you compare Singapore’s wage share with the other high-income countries, you can see that Singaporeans earn the lowest wage share (Chart 29). For a country with a similar GDP per capita, cost of living and price level as Singapore, their citizens would get as much as 60% of wage share. 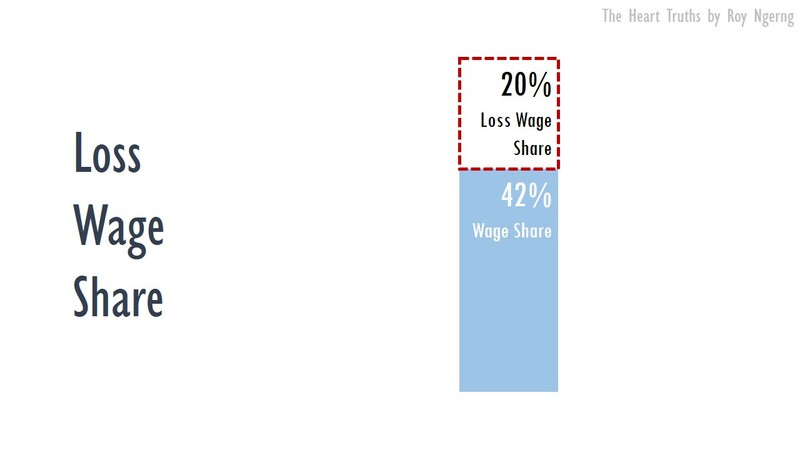 This means that Singaporeans are losing as much as 20% of the wage share (Chart 30). What this means is that for a low-income Singaporean, instead of $800, he/she should actually be earning $3,000. 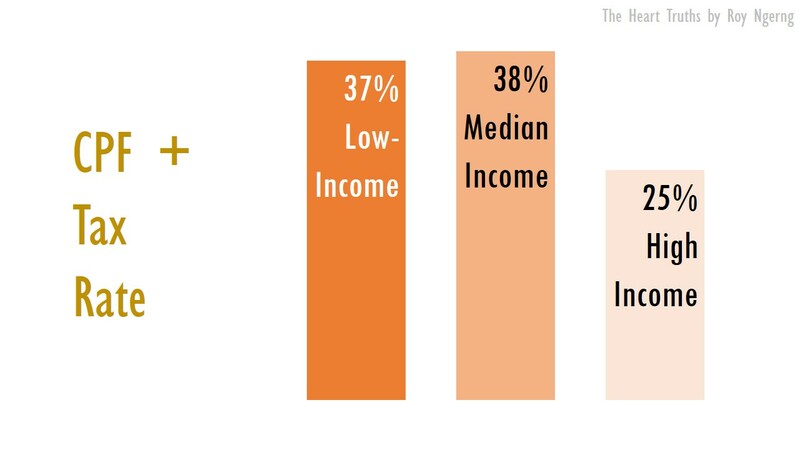 For a median income earner, instead of $3,000, he/she should be earning $6,000 (Chart 31). But do you know why this is not happening? This is because the PAP has only allowed the richest in Singapore and those related to them to get richer. In fact, the richest in Singapore earns the highest wages among the high-income countries and one of the highest in the world (Chart 32). 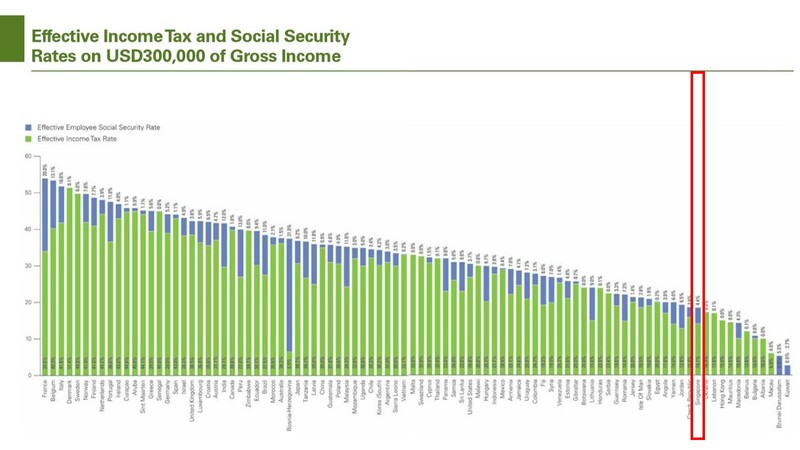 They also pay the lowest taxes and social security among the high-income countries and one of the lowest in the world (Chart 33). 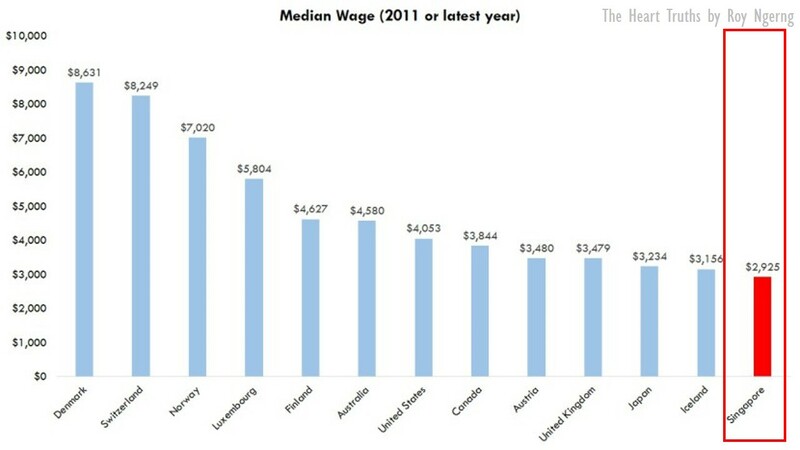 But the PAP would pay the rest of Singaporeans the lowest wages among the high-income countries (Chart 34). 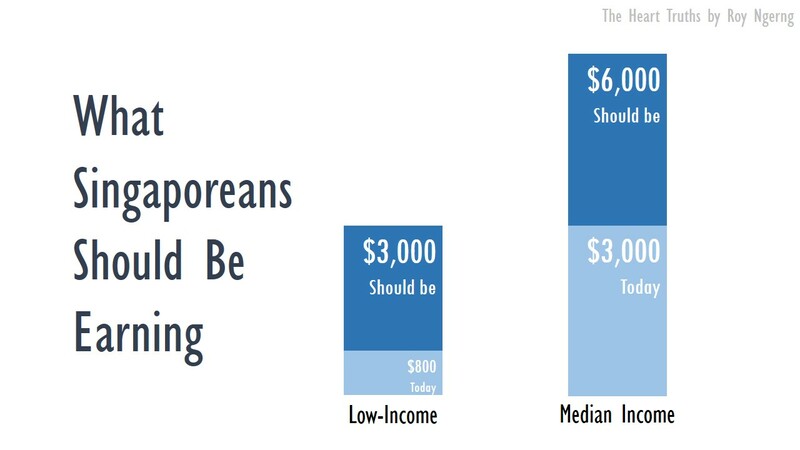 And they would also force the rest of us Singaporeans to pay even higher taxes and social security than the rich – low- and middle-income Singaporeans pay up to 38% of our wages whereas the richest pay only 25% (Chart 35). 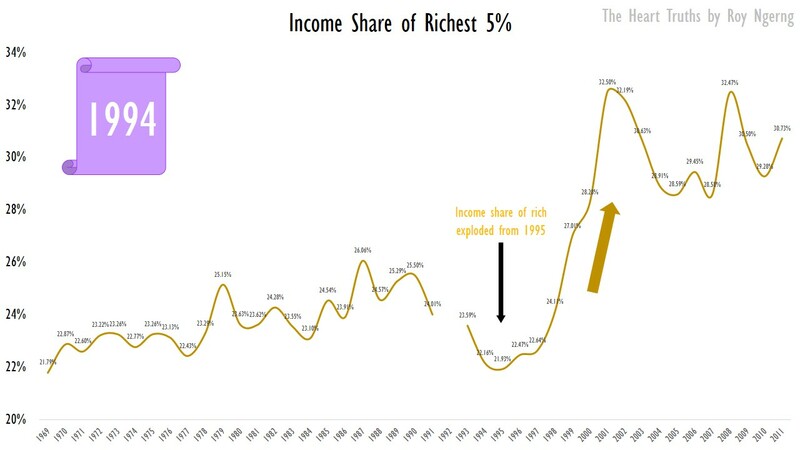 And do you know that the Lee Hsien Loong belongs to the richest 0.1% in Singapore while the PAP politicians belong to the richest 5%, just by salary alone (Chart 36)? But do you know what else happened in 2004? Remember Singtel? In 2004, Singtel’s profits suddenly shot up (Chart 37). And who does Singtel primarily earn from? And again, in 2004, the PAP didn’t even bother to hide their greed once again. 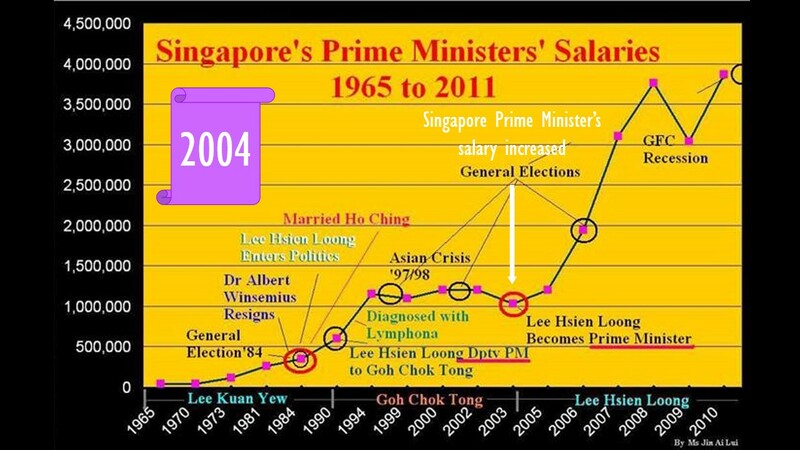 In 2004, Lee Hsien Loong’s salary jumped by leaped and bounds, and grew by several times to as high as $4 million at one point (Chart 38). So far, can you see a trend? 1984, 1994, 2004. Do you see the pattern? And do you know what? We are at the start of the next 10-year cycle. This year, we are in 2014. What else will the PAP do to cut down on Singaporeans? You don’t even need to wait for the answer. 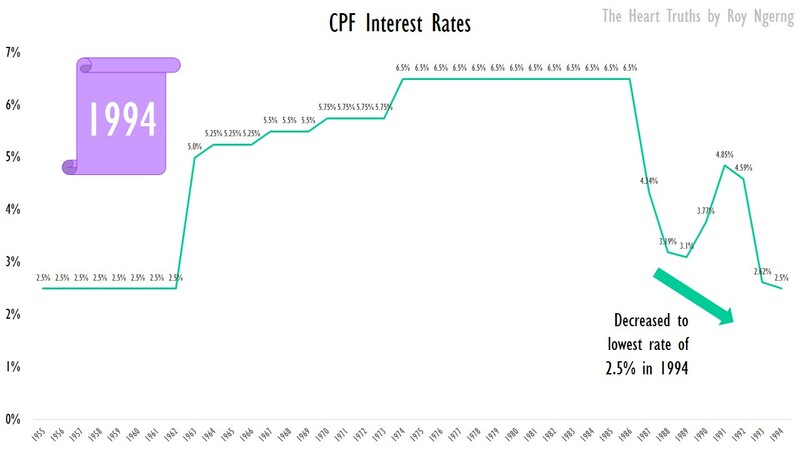 This year, the PAP increased the CPF Contribution Rate to a high of 37%. 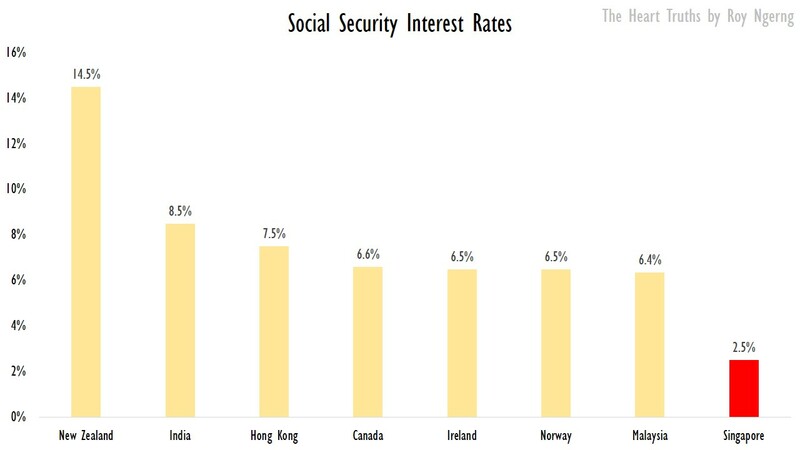 Meanwhile, they continue to pay Singaporeans a low interest rate of 2.5% (Chart 39). 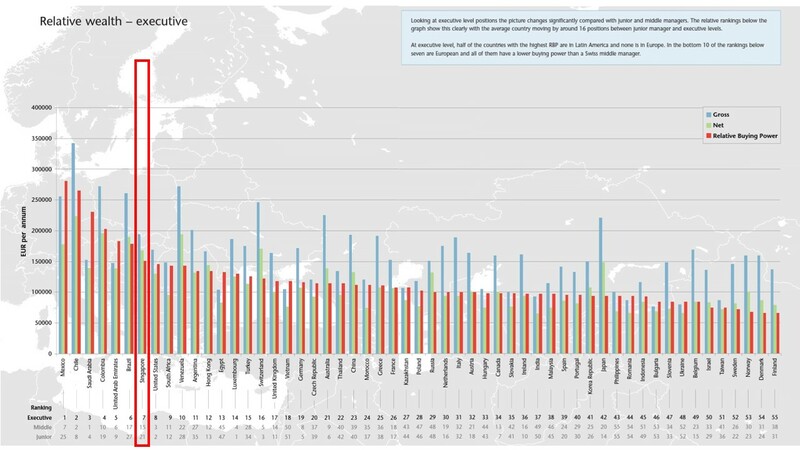 In fact, the CPF that Singaporeans are forced to contribute is actually the highest anywhere in the world (Chart 40). 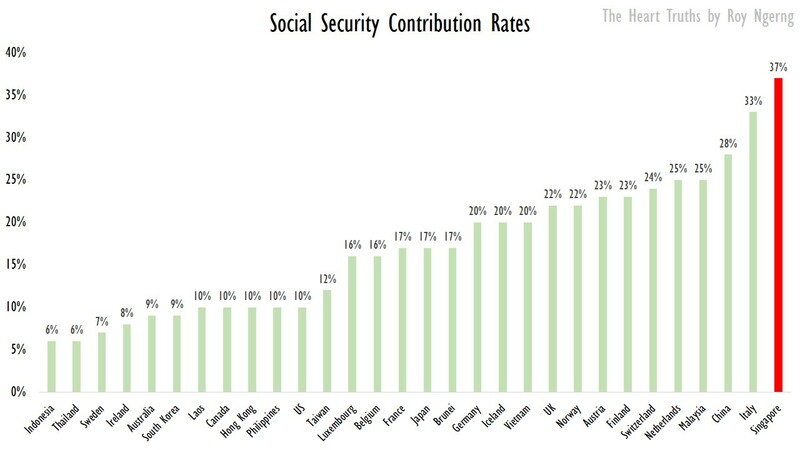 Meanwhile, the interest that Singaporeans earn is also the lowest in the world (Chart 41). 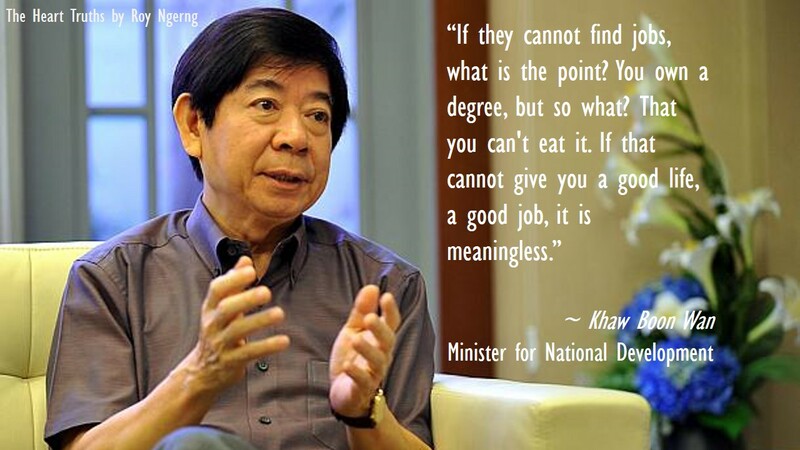 In fact, Mr Leong Sze Hian had shown that the real interest that Singaporeans earn is the lowest in the world. 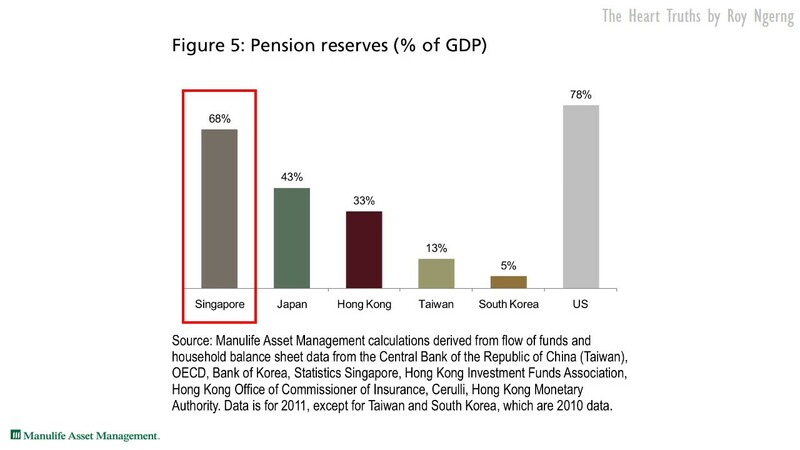 Singaporeans have thus accumulated the largest pension reserves (due to the high CPF contribution) – which will make the PAP happy, since they can siphon this off to use (Chart 42). 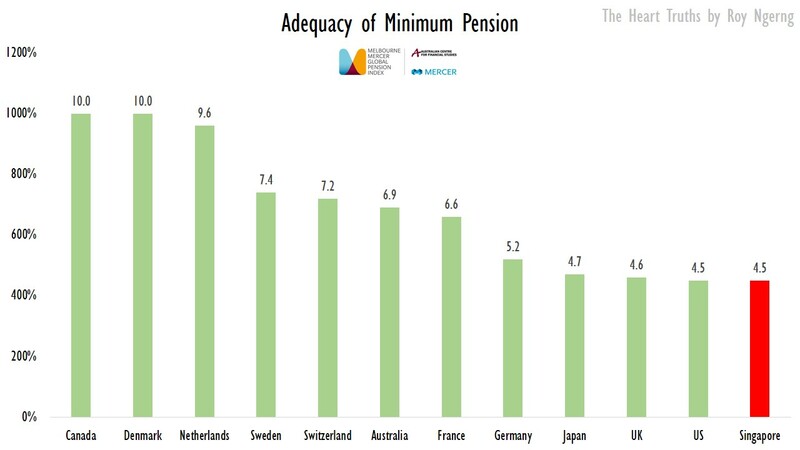 So much so that Mr Leong Sze Hian had estimated that nearly 90% of Singaporeans are not able to meet the CPF Minimum Sum and are not able to save enough to retire (Chart 46). 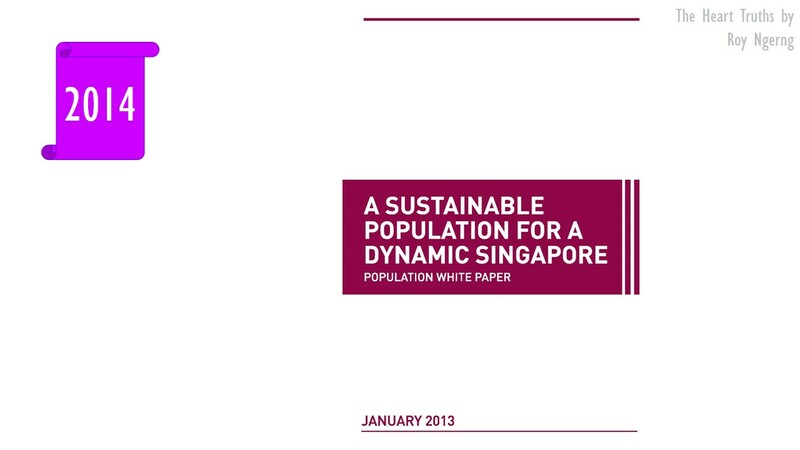 Also, last year, the PAP announced the Population White Paper to increase the number of foreign workers into Singapore (Chart 47). Remember what they did in 2004 with the sudden influx of cheaper substitute labour? But do you know what is even more sinister? 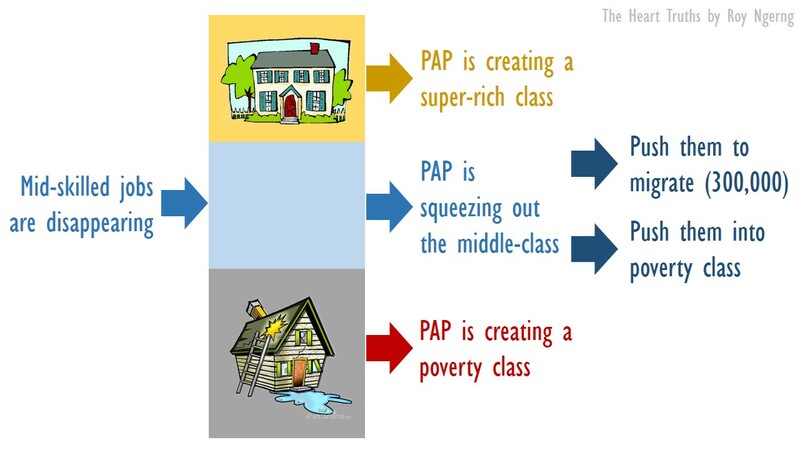 It is this – as Mr Toh Chin Chye had pointed out, since 1984, the PAP has embarked on the plan to make Singaporeans double-pay so that the PAP can earn. How do they do that? 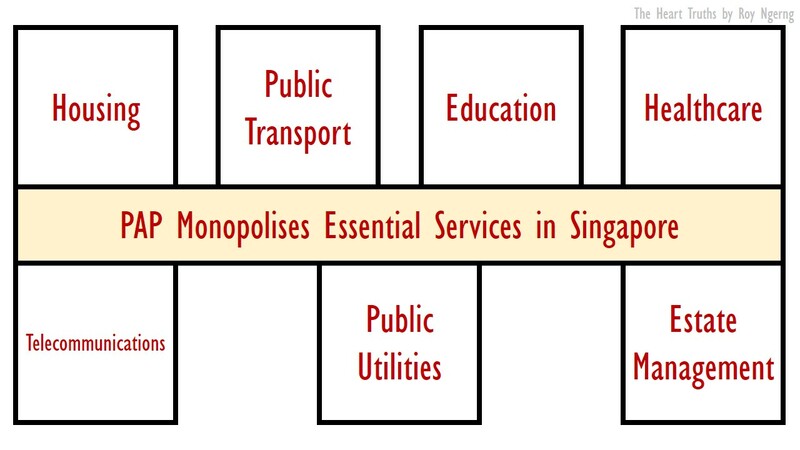 First, the PAP monopolised all essential services in Singapore (Chart 48). So, since they’ve monopolised the essential services, they get to decide how much they want to charge from you, right? 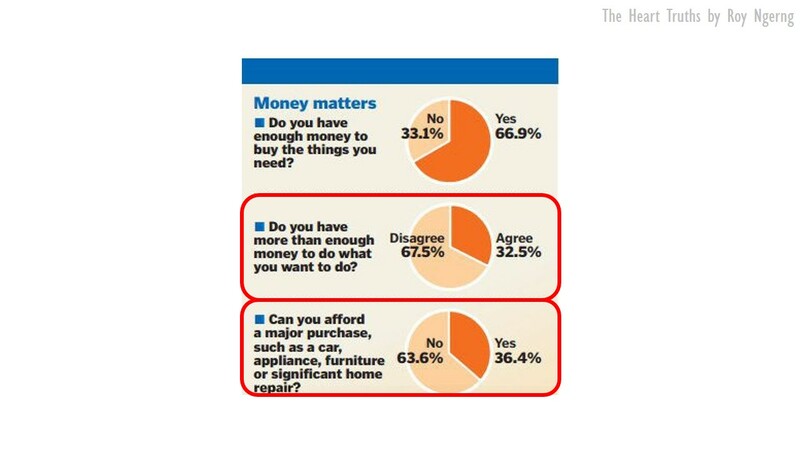 Then, a survey had shown that for middle-income Singaporeans, two-thirds of us are able to earn enough to buy just what we need but not anything else (Chart 49). What this means is that the PAP had calculated how much they need to give you in wage, then take back the wage via your CPF, and take back the rest of your wage via the essential services that they make you pay on (Chart 50). In short, they have calculated how much they need to pay you then take it all back. But for the poorest 30% in Singapore, Prof Tilak Abeysinghe had calculated that they go into a debt of 5% to 51% of their income (Chart 51). This means that the PAP has decided to give them a wage, take it back via CPF and via the essential services that they charge, and then force the poorest 30% of Singaporeans to go into a perpetual debt so as to create a permanent disempowered class (Chart 52). 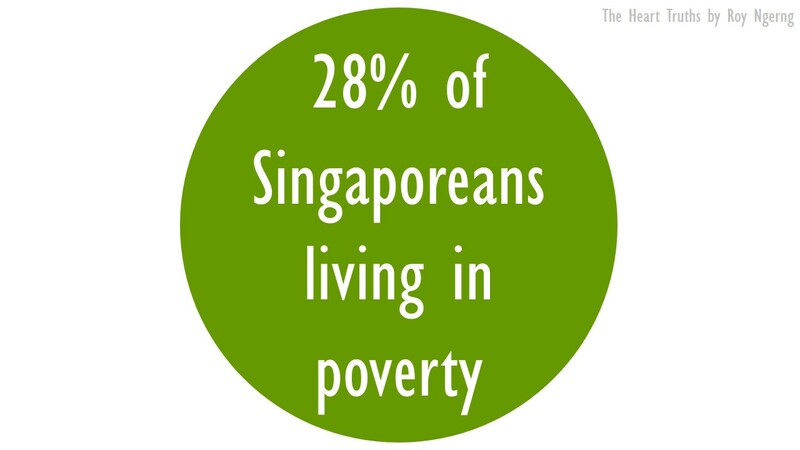 I’ve estimated previously that 28% of Singaporeans are living in poverty (Chart 53). In fact, Singapore has the highest poverty rate among the high-income countries and East and Southeast Asian countries. 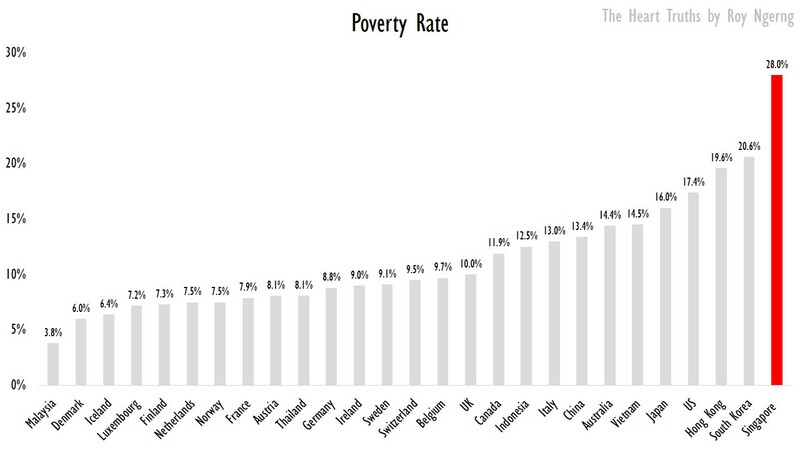 The poverty rate in Singapore is actually same as that of a Third World country (Chart 54). Then, who pays for the debt? It is not the PAP. It is not the rich Singaporeans. It is the rest of us Singaporeans. As Mr Toh Chin Chye had pointed out, Singaporeans are already paying tax for health, yet we also have to pay Medisave. 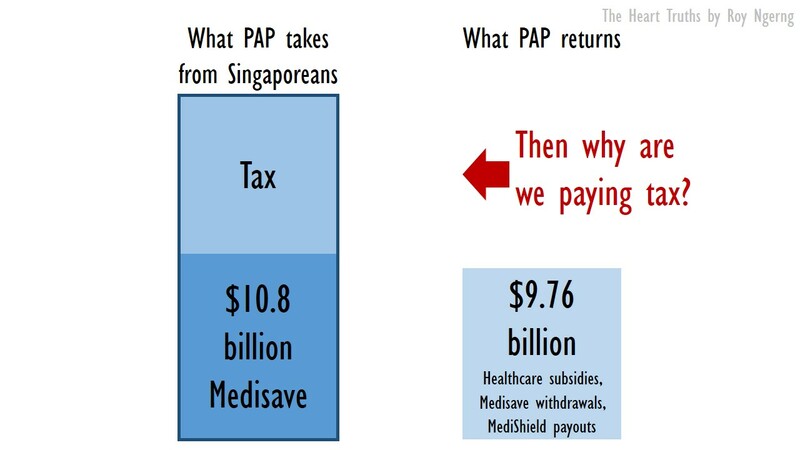 And as Mr Leong Sze Hian had calculated, what we pay into Medisave for one year is more than enough to cover what the PAP returns for health, which means that we are actually double-paying (Chart 55). Also, Singaporeans are already paying enough in transport fares to fully cover for the operating expenses of the transport operators. Yet, we still have to pay tax for transport. Again, we are made to double-pay (Chart 56). Not only that, Mr Leong Sze Hian had highlighted that NUS and NTU have a combined surplus of more than $400 million. The government would also pay $400 million for foreign students to study in Singapore but would force Singaporeans to pay $400 million to study in the local universities (Chart 57). So, why are Singaporeans made to pay in full while the government has accumulated enough surpluses, and enough to give foreign students to study for free in Singapore? Yet, even as Singaporeans are double-paying, the PAP still returns the least back to Singaporeans. The PAP only returns 2% of GDP for social protection expenditure (Chart 58). 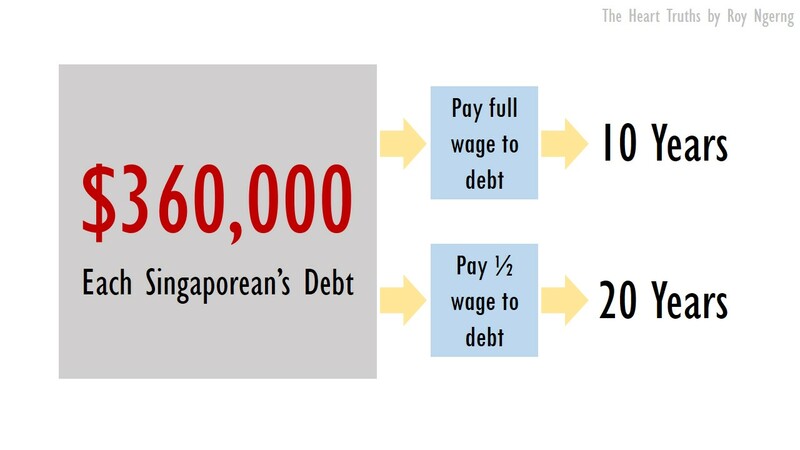 But how much debt are Singaporeans forced to go into? 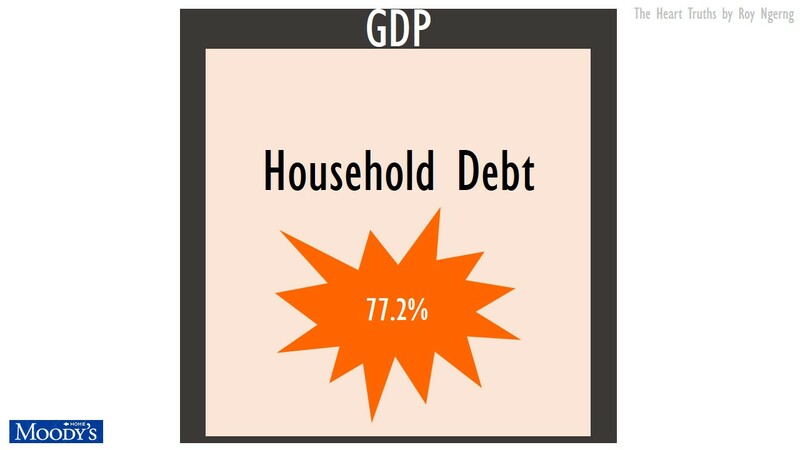 Singaporeans are forced to go into a debt of 77.2% of GDP (Chart 59). So, the PAP returns only 2% of GDP back to Singaporeans but Singaporeans have to shoulder a whopping 77.2% of GDP of debt! 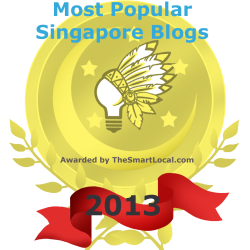 This makes Singaporeans one of the most indebted in Asia, if not, the most indebted. But that’s not all – do you know that the PAP “borrows” our CPF for their investment? 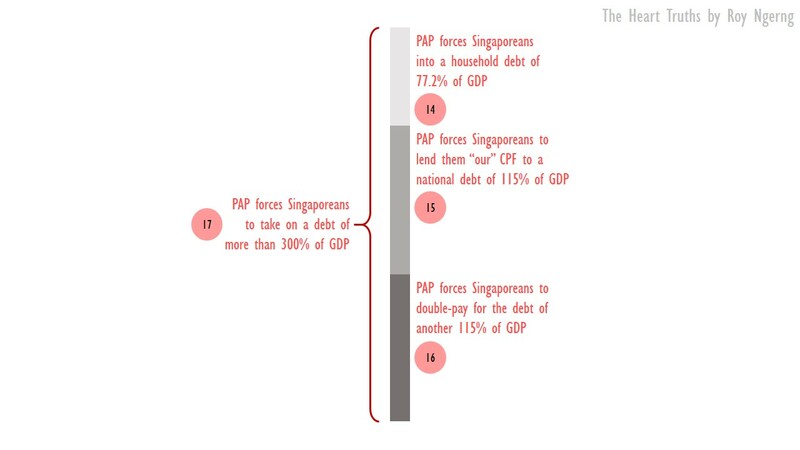 The PAP has borrowed $404 billion from Singaporeans thus far and this makes up 115% of GDP (Chart 60). Now, if there is a national debt, someone has to pay for it, right? But who pays? Yes, that’s you again. Which means you take on another debt of 115% of GDP. 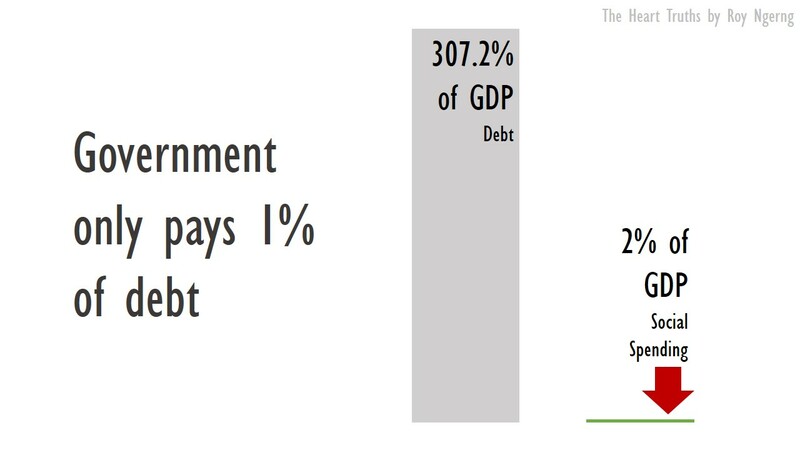 Which means that in total, Singaporeans are in a debt of more than 300% of GDP (Chart 61). So, note this – Singaporeans are in a debt of more than 300% of GDP but the PAP would only return 2% of GDP back to us (Chart 62). 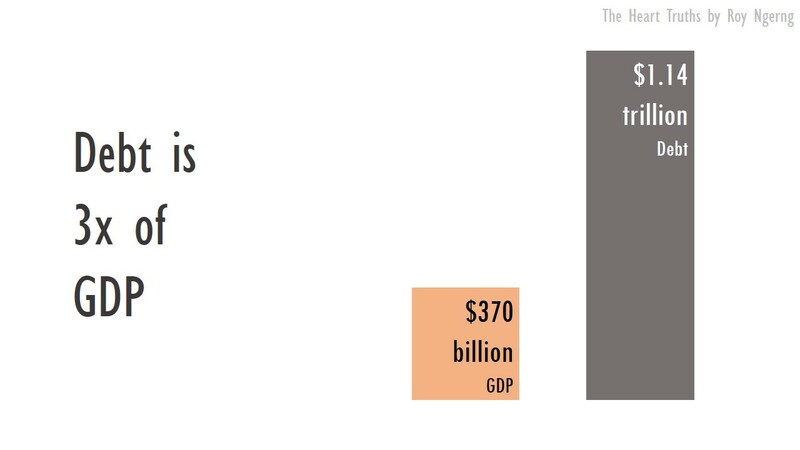 In monetary terms, Singaporeans are in a total debt of more than $1 trillion (Chart 63). This means that each Singaporean has to pay off about $360,000 worth of debt. If we use our full wage to pay the debt off, we would have to work for another 10 years. If we use half our wage to pay off the debt, we would have work for another 20 years (Chart 64). 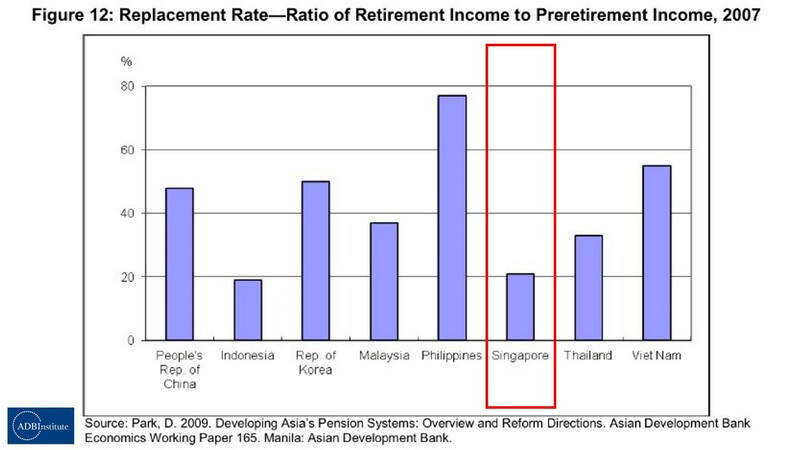 Now, do you know why Singaporeans can never retire and have to work until our deaths? 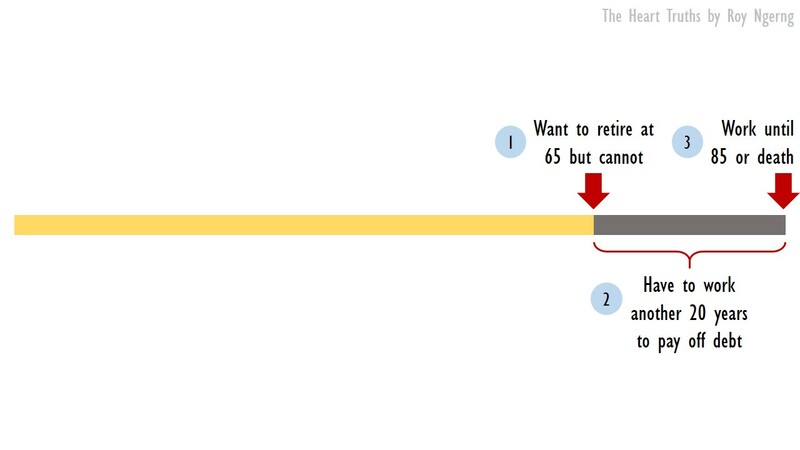 When we want to retire at 65, we still have to work for another 20 years, which means that the PAP have concocted a plan to force Singaporeans to work until our very last breath (Chart 65). Do you know what this means? 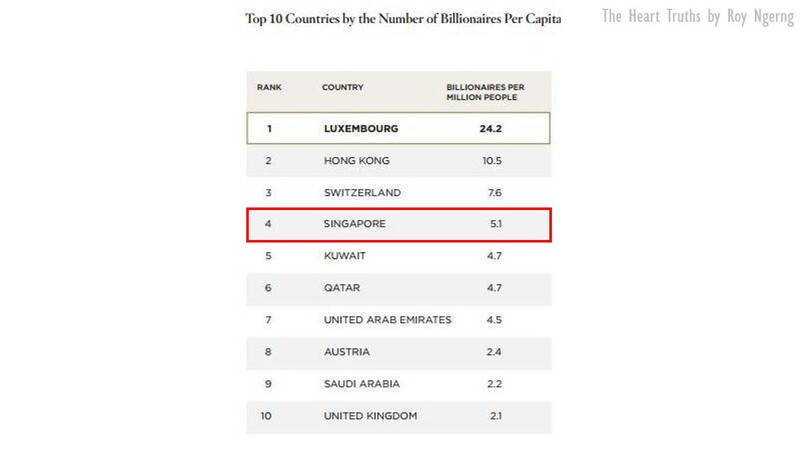 Lee Hsien Loong had previously said that he wants to bring in as many billionaires as he can, even as Singapore becomes even more unequal (Chart 66). 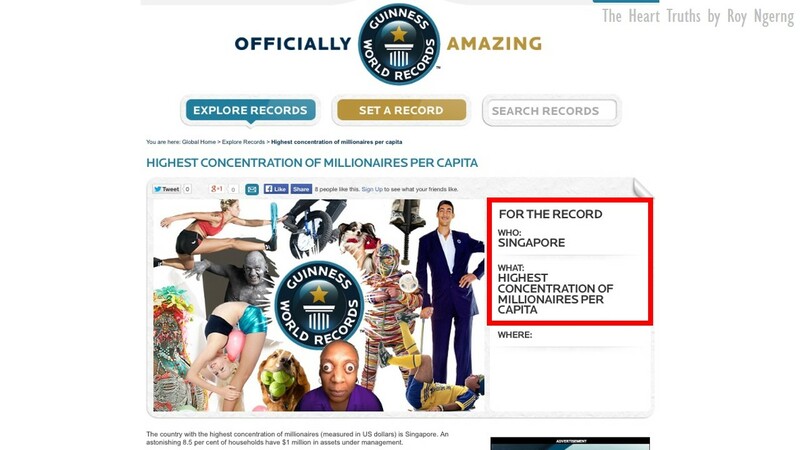 So much so that Singapore now has the 4th highest concentration of billionaires (Chart 67). 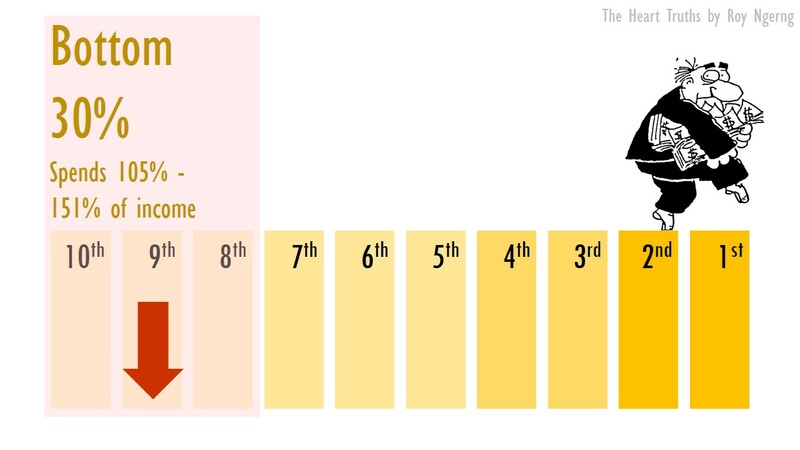 And the highest concentration of millionaires (Chart 68). 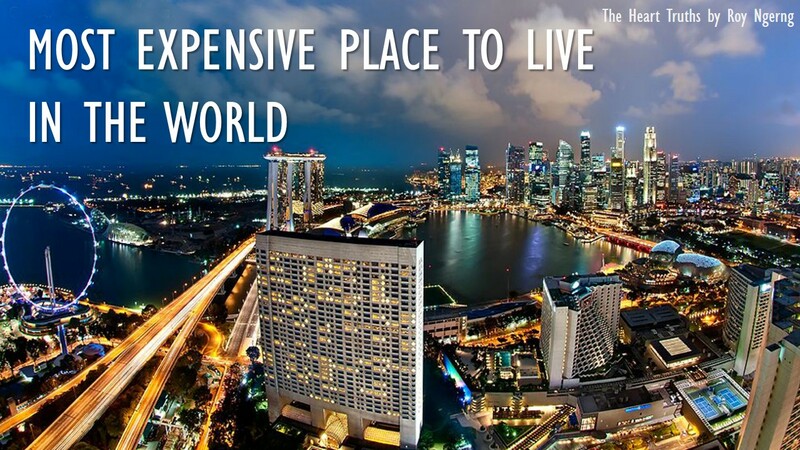 Which has made Singapore the most expensive place to live in the world today (Chart 69). And as Mr Leong Sze Hian had written previously, middle-skilled jobs are disappearing. 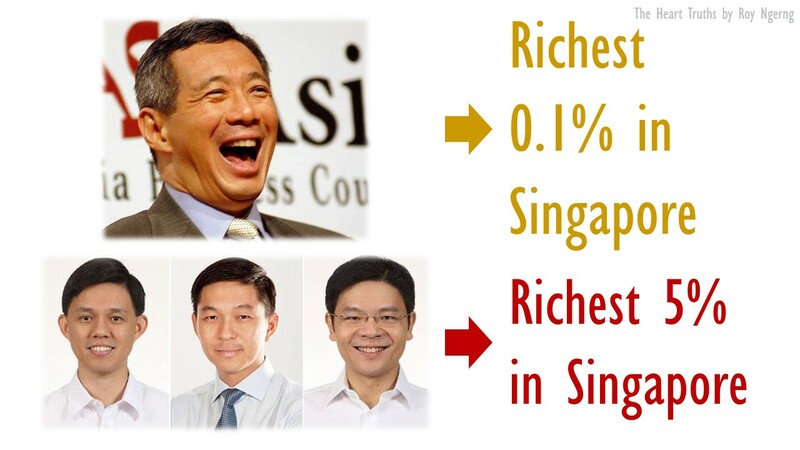 This is what it means – the PAP wants to create a super-rich class of about the richest 15% among them. 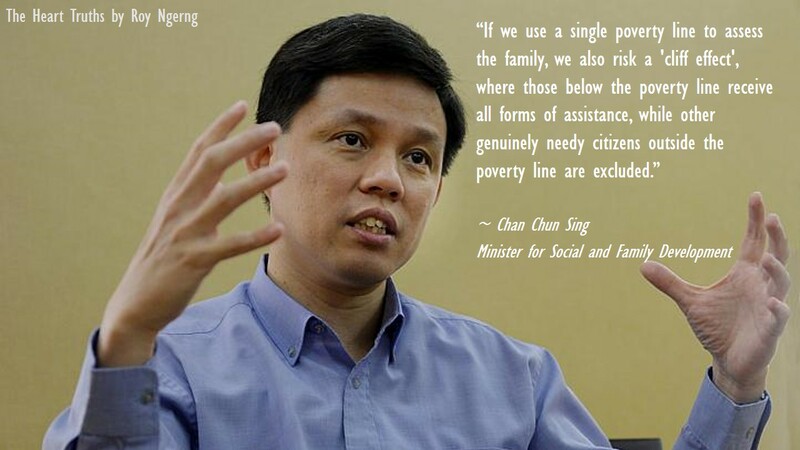 The PAP also wants to create a poverty class. For the middle-class, they either get driven out of Singapore (already 300,000 or 10% of Singaporeans have migrated) or they get pushed into the poverty class (Chart 70). Now, do you know why the PAP doesn’t want to define a poverty line (Chart 71)? Because they know it’s growing – they are intentionally making it grow. Now, do you know why the PAP doesn’t want you to get a degree (Chart 72)? Why do you need a degree for a low- skilled job? 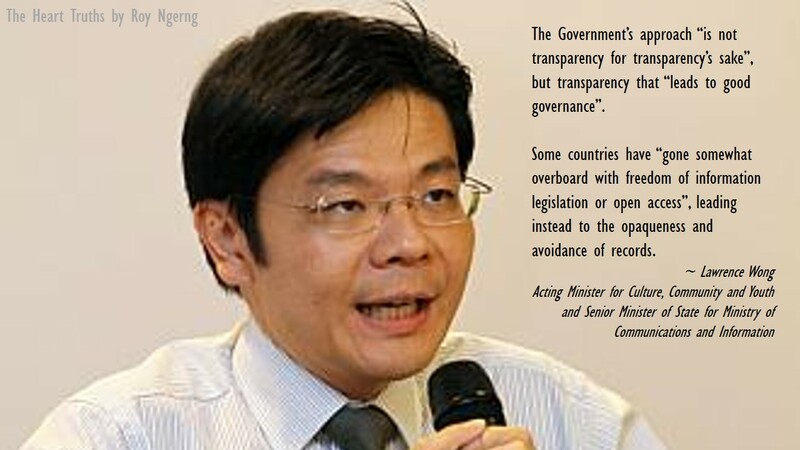 Now, do you know why the PAP doesn’t want to be transparent (Chart 73)? And why they believe revealing too many statistics might not be in their interests (Chart 74)? 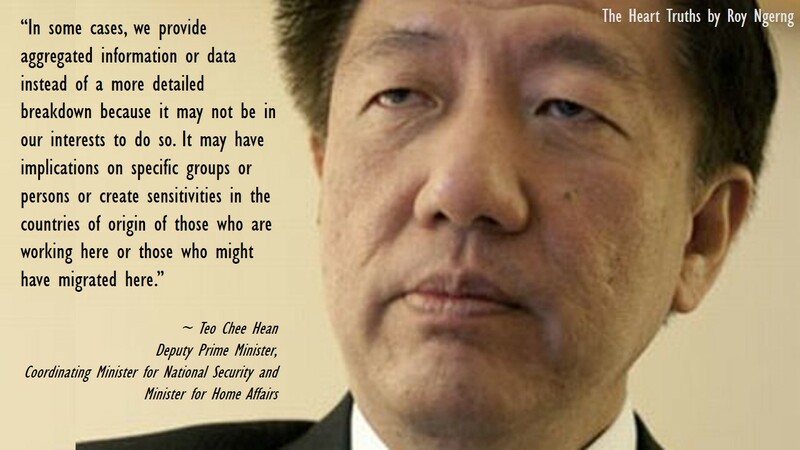 So, you see, the PAP’s plan to take down Singaporeans has been 30 years in the making, from 1984. But wait, let me show you one more information – it was in 1974 that the PAP set up Temasek Holdings. Thereafter, they set up the GIC in 1981 (Chart 75). Did the PAP actually started to plan to cut down Singaporeans since 1974? 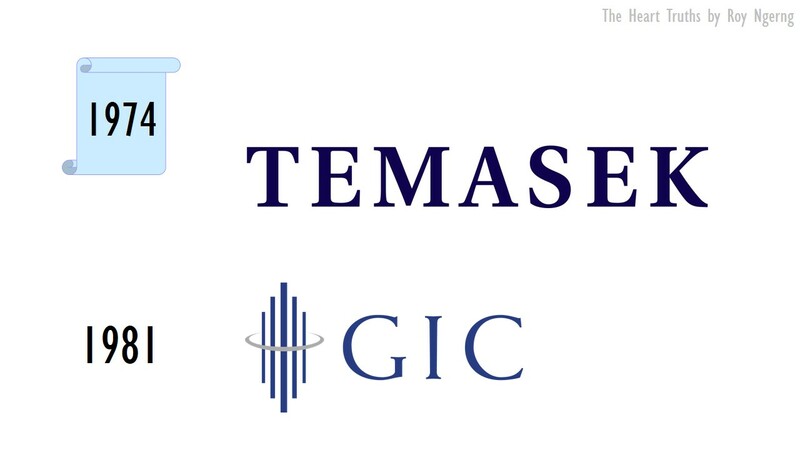 As most Singaporeans would know by now, our CPF is being taken by the PAP to be invested in the Temasek Holdings and GIC. In 2008, Temasek Holdings lost $58 billion, which is equal to 40% of the value of our CPF (Chart 76). When this money is lost, who has to pay off the loss and the debt? It’s not them. Finally, you can see the chart below to see when and how the PAP started its plan to cut down on Singaporeans. And this is how the PAP has done it. 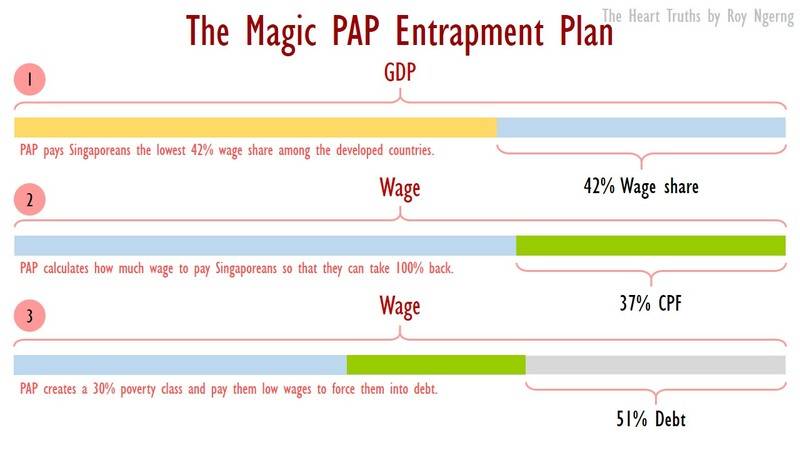 (1) Give Singaporeans the lowest wages, (2) calculate how much to give Singaporeans in wages to take it back in CPF and (3) for the poorest 30%, force us to go into perpetual debt to create a permanent class that would have to keep begging the PAP for help (Chart 78). (4) Monopolise the essential services and (5) force Singaporeans to double-pay into essential services to earn from us (Chart 79). (6) Force Singaporeans to pay the highest CPF contribution rates in the world, (7) give Singaporeans the lowest interest rates in the world, (8) while taking Singaporeans’ CPF to earn possibly the highest interest rates in the world for themselves. 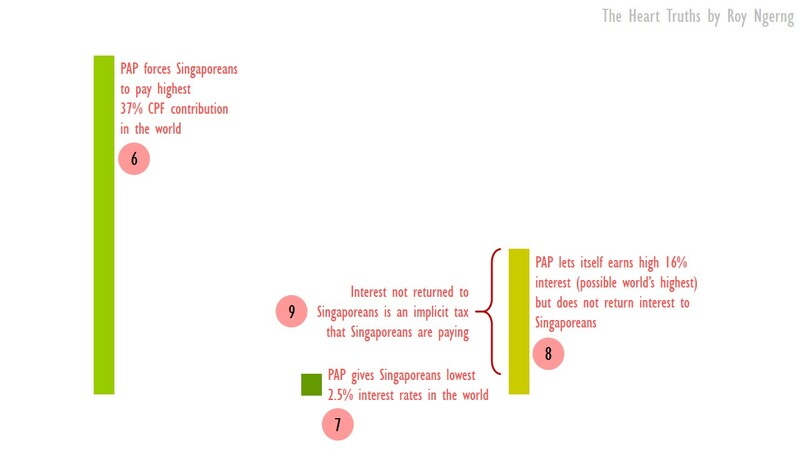 (9) This interest that the PAP doesn’t pay back is a tax that Singaporeans have to pay from our CPF (Chart 80). 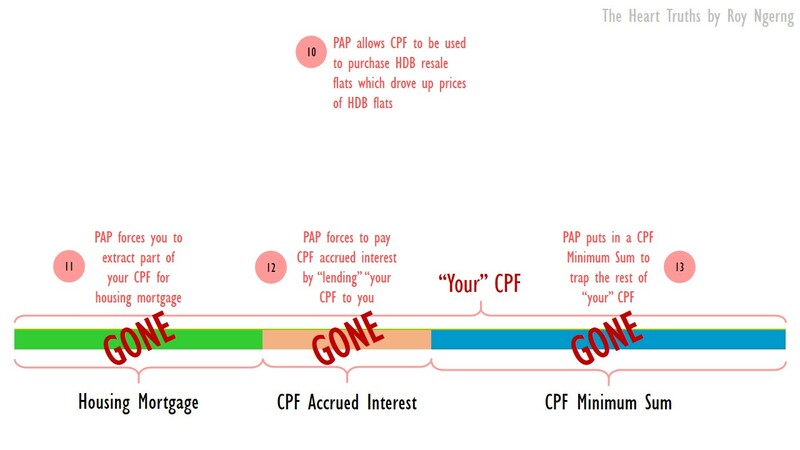 (11) Create a scheme to force Singaporeans to return our CPF to the PAP from the housing mortgage, (12) force Singaporeans to return our CPF to the PAP from the accrued interest and (13) trap Singaporeans’ CPF in the CPF Minimum Sum (Chart 81). 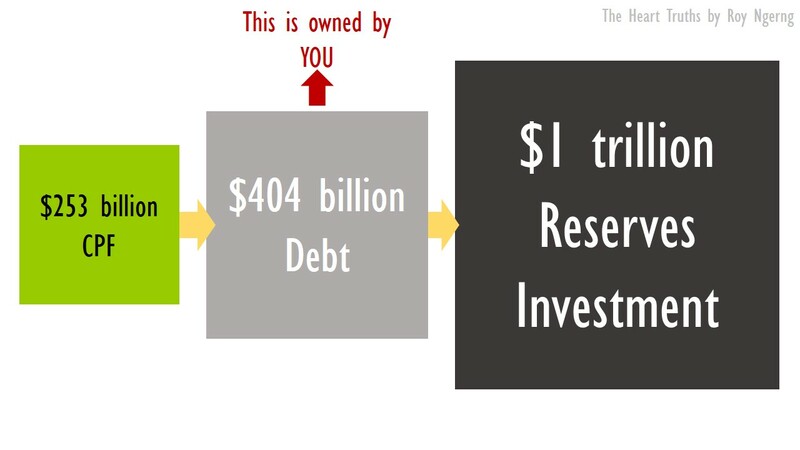 (14) Force Singaporeans into a debt of 77.2% of GDP, (15) create a national debt of 115% of GDP for Singaporeans to take on and (16) force Singaporeans to pay back this debt of another 115% of GDP, (17) thus forcing Singaporeans to go into a debt of more than 300% of GDP (Chart 82). 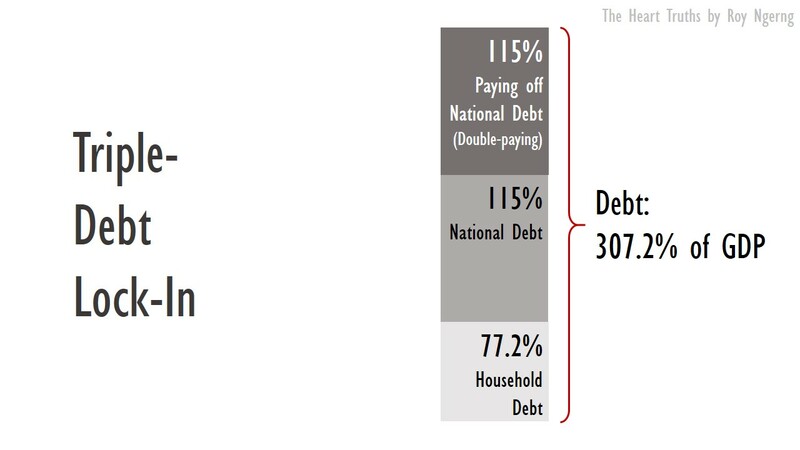 And because the debt is more than $1 trillion, (18) each Singaporean would have to take on a debt of $360,000, (19) which means that Singaporeans will never be able to retire and will have to work until we die just to pay off this debt (Chart 83). So, there you have it, Singaporeans, the Great PAP Ponzi Scheme to entrap Singaporeans and cut us down. The PAP has planned for this all the way back since 1984, or even as far back as 1974, and has embarked on 10 year milestones to further cut down on Singaporeans in 1994 and 2004. Today, we are at the next milestone in 2014. The PAP has systematically created this plan to enslave Singaporeans, to force us to work on low wages and to force us to never be able to retire while they pay themselves the highest salaries in the world, with our loss earnings. Meanwhile, this system that they have created has become an automated system. They don’t even need to do anything and the money will keep flowing from us to them. Singaporeans, we are being severely shortchanged. The PAP isn’t even remotely interested in taking care of Singaporeans or even governing. They have hijacked government long ago so that they could use the government as an affront to amass your money and siphon it to them for their own use. My fellow Singaporeans, we are being cheated by the PAP. We are being lied to, deceived and manipulated. Meanwhile, the PAP has created a modern day slavery and serfdom where Singaporeans are forced to quietly accept what the PAP pretends to give, while we are forced to keep begging them for more. The PAP has been pretending all this while to govern but their real interest isn’t governance. It is to make money, and to make money from Singaporeans. And since they’ve managed to control all parts of Singapore, they are able to concoct all sorts of ways to earn money off Singaporeans. Singaporeans, it’s time to fight back. It’s time to fight the PAP. They have launched a war against Singaporeans since 1984 and they’ve only gotten more and more brazen. The PAP thinks that just because Singaporeans keep quiet that they can bulldoze us with their lies. They think that just because Singaporeans have suffered quietly, that they can continue to pretend to govern and deceive Singaporeans. Enough is enough, Singaporeans. It’s time to fight back. It’s time to regain our freedom and our right to live independently. When Singapore gained independence from the British, Singapore never became independent. 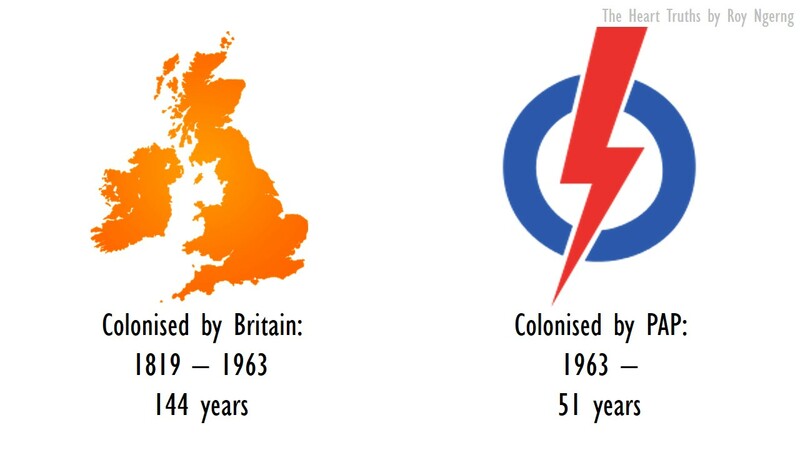 Singapore only became colonised by the PAP. The old PAP had cared for Singaporeans. They had wanted to make Singapore a more equal place, and they managed to do so for 20 years. But after that, for 30 years now, things have turned upside down for Singapore and Singaporeans. Imagine this, of the 50 years the PAP has been in government, for more than 60% of the time, the PAP has been gunning down on Singaporeans and shooting us down. The PAP started to squeeze Singaporeans dry and the PAP decided to cut down on Singaporeans and turned their back against us. From 1984, the PAP betrayed Singaporeans and waged a war against Singaporeans. They hijacked government and put their own people up to earn money off Singaporeans. It’s time to fight back. It’s time. For our freedom, our children and their children’s freedom, my fellow Singaporeans, it’s time we stand up and we fight. It’s time we take the PAP out. The PAP has made use of government to serve their own wants for far too long. Singapore is turning into a state of disarray because of the PAP’s self interests and lack of governance. It’s time we take Singapore back and together, remake Singapore and allow our country to grow and prosper once again, and allow all Singaporeans to prosper together. Singaporeans, it’s time we fight. For our freedom. For our rights. For equality. 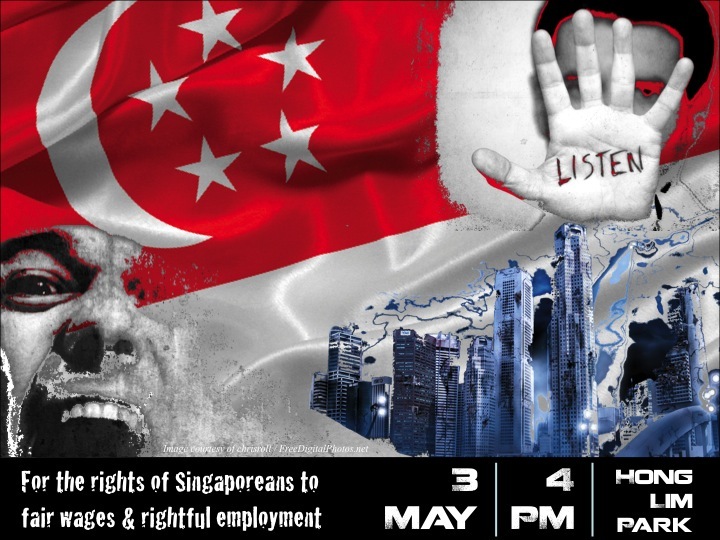 On 3 May 2014, we will be holding an event to advocate for the right of Singaporeans for fair wages and rightful employment. It’s time we stand up for ourselves and it’s time we find the strength and belief with us to challenge the PAP to take back our country and prevent them from ruining our lives, and our children’s’ lives further. For the long term future of our nation and our people, and our children and their children, it is time we step forth and it is time we take a stand. It is time we come together and protect ourselves. Only in solidarity and togetherness will we have the might to rid Singapore of the scourge that has made itself the government and controlled Singapore for their own benefits. We can no longer allow the PAP to run Singapore as if we don’t matter and to turn us into slaves for their own wealth. The PAP has exposed themselves to run a system that has been corrupted for their own benefit and selfish greed. The more people who come, the more they will realise they cannot have their way. The future of our country can only be decided by the collective will of the people in Singapore and not by their wanton greed. Come join us. Come chart a new future. Come take a stand and fight for the new Singapore you want to see. What say you? Hey Roy, if your article is 10 pages long, release it in parts at a rate of 2 pages per week. Not 10 pages in one day. Very bad for readers to digest. It dilutes your readership and many have short attention span won’t read. Also, try not to repeat what you have written only you add fresh perspective. Else, it is kind of spammy. Funny, I read the news about the sunken Korean cruise this morning and could see some similarities here in Singapore. In the news, it is reported that the ship took about 1.5 hours to go belly up. During this time, if the 300 people(mostly school students) could take the initiative to climb out of the ship, most would have escaped from the disaster. But, it is reported that the Koreans have the culture of obeying the people from the top and will listen to & do according to what had been told to them. The captain of the cruise did not make the right decision during this time, telling the students to wait for evacuation rescue from outside. And nobody knows why the rescue team took such a long time; And before they could save the 300 person, the ship has fully sunken! The news also reported that a few of the students who managed to escape are the ones who ignored the captain’s call to remain in the ship. They are labeled as the typical rebellious group who would normally not listen to teachers’ instruction during classes. In Singapore, I could see that most Singaporeans still maintain the same mentality as the Koreans. We don’t ask & question too much about the government’s actions. And if they do answer our questions, we readily accept it, without much critical thinking on our part. It’s like u get into a cab and the cabby blindfolds u. Where he takes u to, u have no idea & you don’t question to find out. Blind faith is not all virtue. In times of disaster, believe in your instinct is best policy. what a bang on analogy! 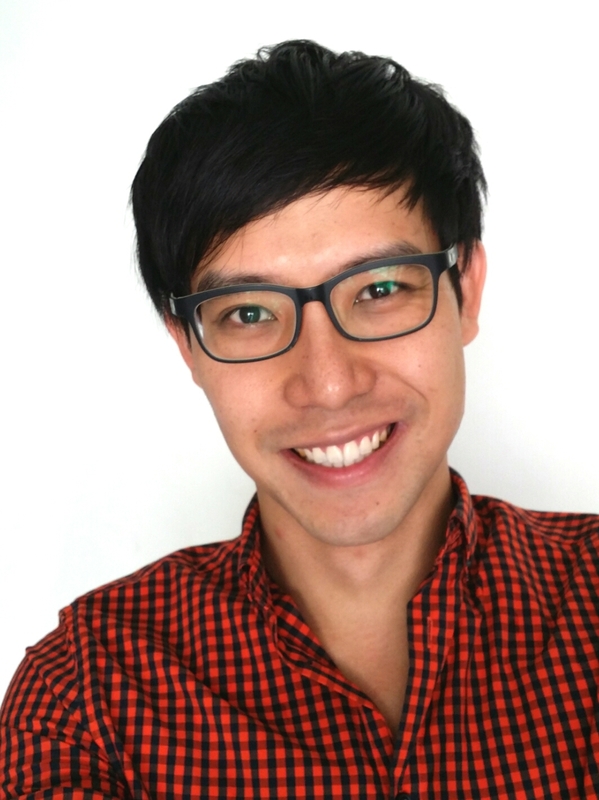 I used to live in Singapore and hated the living sh!t out of the experience because I could not vent my frustrations and have any Singaporean agree with me. They all shrugged their shoulders and just accepted their lot in life. Whatever the PAP fed them, they ate. I could be described as a rebellious person, ie. someone with critical thinking, and Singaporeans just couldn’t understand why I had so much to gripe about. I now live in Canada, living life exactly how I want to, and reveling in freedoms I could never have in Singapore. Your story is an exact duplicate of mine, except I now live happily in Australia. There are many more Singaporeans here and there are still many more in Singapore who want to leave. Anyway, i strongly agree that most of the scholars in NUS or NTU are foreigners. I used to be a PhD student in NUS holding an NUS research scholarship. The whole cohort of mine only very few Singaporeans, not even 5 of them while the rest of are foreigners. Some of them studied halfway and gave up their studies due to family matters e.g. having a child, find it hard to continue the course, got better opportunities outside, etc. But they were not made to pay back the money to NUS that are wasted on their candidature here. It’s an obscene sum of money if it comes from taxpayers money. Sad but true. Really enjoy reading your blog from UK, thank you for your insightful information. Have not given up the red passport yet, and still have quite a substantial amount in my CPF and have fully paid up the HDB, so the more I read your post, the scarier it becomes. Even though I am considered myself quite lucky enough to escape from the above situation, nonetheless, my family and friends are still in Singapore. Anyway, hope the Korean Ship incident mentioned by Johnson will not happen in Singapore, but who knows? Yes! We do wish we can speak about these issues more. ‘Cos I strongly feel that our history of silence never did us any good. ‘Cos silence only perpetuates more silence. While talking normally gives birth to more talking, more sharing, more identification, more awareness…more change. Small change, small humble change, true ones…emotionally safer. 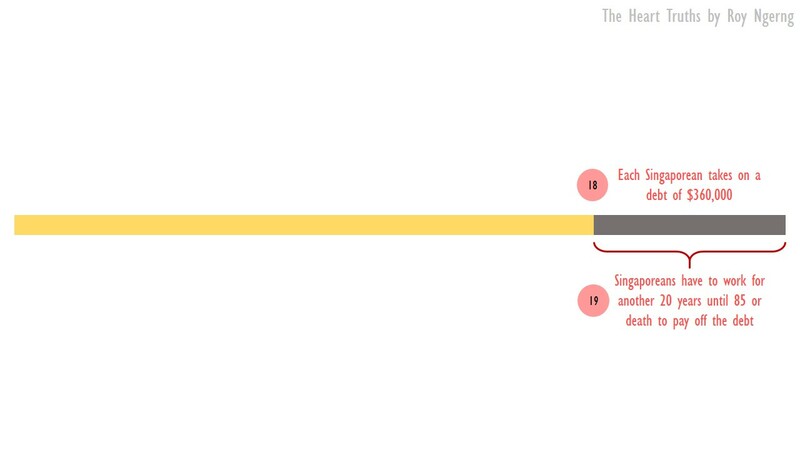 very well presented.you must give data sources where possible. It’s like he never left Singapore – doesn’t he know that everywhere, the wage gap is increasing and wage share is decreasing? Does he not speak of the need for employers to ‘match’ the contributions of their employees? PAP doesn’t have a ‘monopoly’ as he forgets the other players M1, Starhub, MyRepublic, and the huge number of private developers building Condos in Singapore. He’s also forgetting about the fact that many Singaporeans pay less tax than in other countries – looking at Malaysia, if you earn SGD 320,000, you’ll pay 26%. In Singapore, it’s maxed out at 20%. In the US, such an earning will cost you 33%. Never mind that the vast majority of foreign workers work in fields that Mr Roy would never even consider, like in shipyards, construction sites and driving buses. Never mind that Singapore has paid a lot to build a public transport system, education system and utility infrastructure that is world class. Not to mention the use of graphs that exaggerate the problem – why make charts that have incorrect and inconsistent numbering on the axes? If you truly have a good data, then show it without having to exaggerate it. I support speaking out against parties when the need comes, but choosing points so selectively to show only one side of the argument is lowering yourself too much.